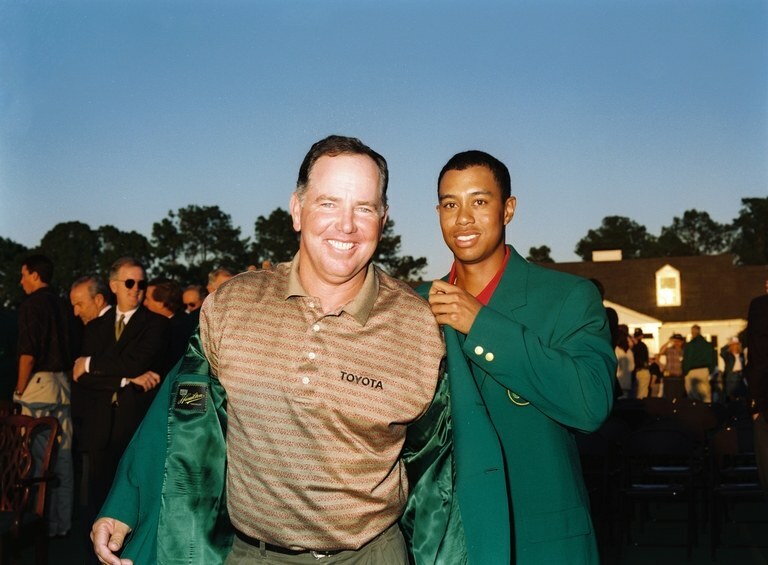 Tiger Woods, the 1994 SCGA Amateur Champion, is now a 15-time major champion. 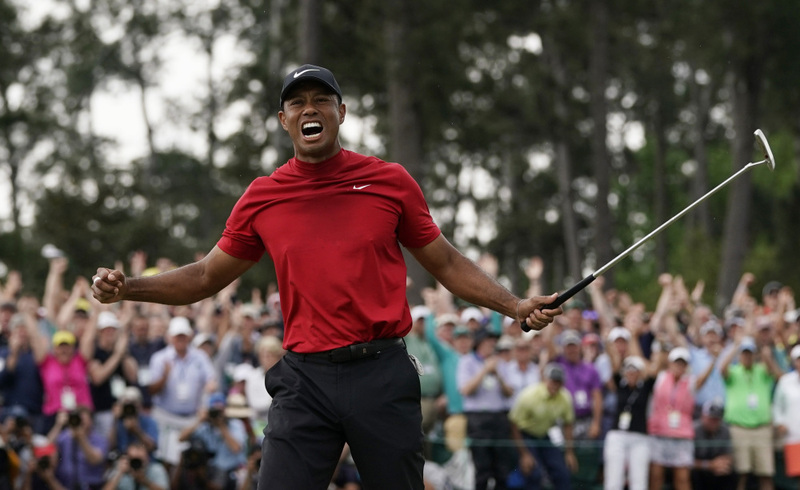 This victory comes 14 years after his last triumph at Augusta and breaks an 11-year major-less drought for Tiger. The field for for the inaugural Augusta National Women's Amateur incudles seven of the SCGA's most decorated players. Among others, look out out for 2-time SCGA Women's Amateur Champion Andrea Lee, 2018 NCAA National Champion Haley Moore along with SCGA Junior Scholar Alyaa Abdulghany. A runner-up finish at Pebble Beach in last years U.S. 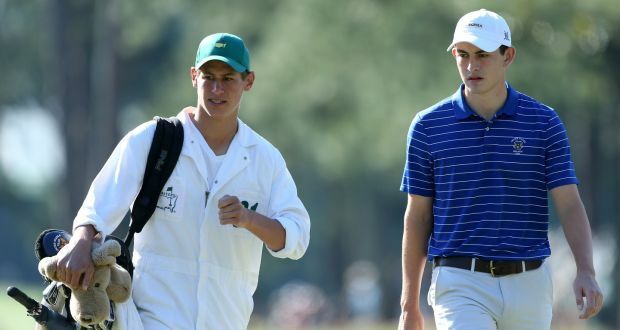 Amateur earned UCLA Sophomore Devin Bling a coveted spot in the field at The Masters. Bling is one of six amateurs to watch at Augusta as he prepares for his first Major Championship. Matthew Wolff has set an Oklahoma State school record with his fifth collegiate victory this season, he is now three wins away from the NCAA record held by Tiger Woods. Rounds of 65, 66 and 68 gave Wolff a one-shot victory and earned him a spot in the field at the 2020 Valspar Championship. 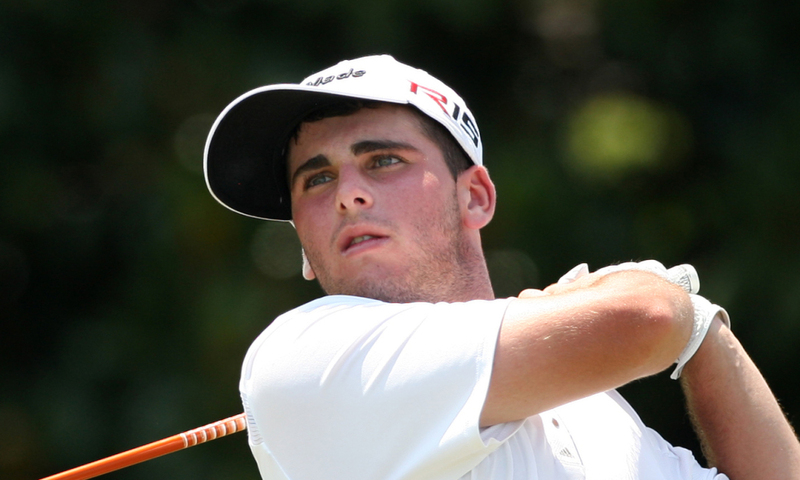 Matthew Wolff shot 65-66-68 to win the Valspar Collegiate yesterday. It's his 5th win in 7 stroke-play starts this season. He's broken 200 three times. In her first professional start on any level, Alana Uriell has claimed her first professional victory. Uriell, who has finished inside the top-10 at the last two SCGA Women's Amateur Championships, made eagle on the opening playoff hole after carding a final round 67. The 1979 California Amateur Champion Mark O'Meara has found his way back to the winners circle for the first time since 2010. O'Meara fired a final round seven-under par 66, that included a blistering front-nine 31, en route to victory. 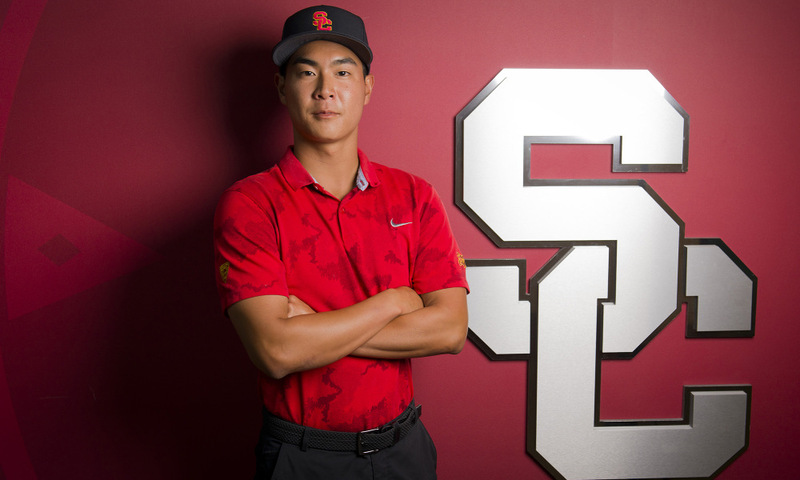 Led by senior standout Justin Suh, the USC men's golf team battled back late to win the Southwestern Invitational at North Ranch CC over Cal and UCLA. Suh buried a 12-foot birdie putt on the last to give his team a one-shot victory and secure his eighth career individual collegiate title. We are broadcasting live ... from The Prestige. 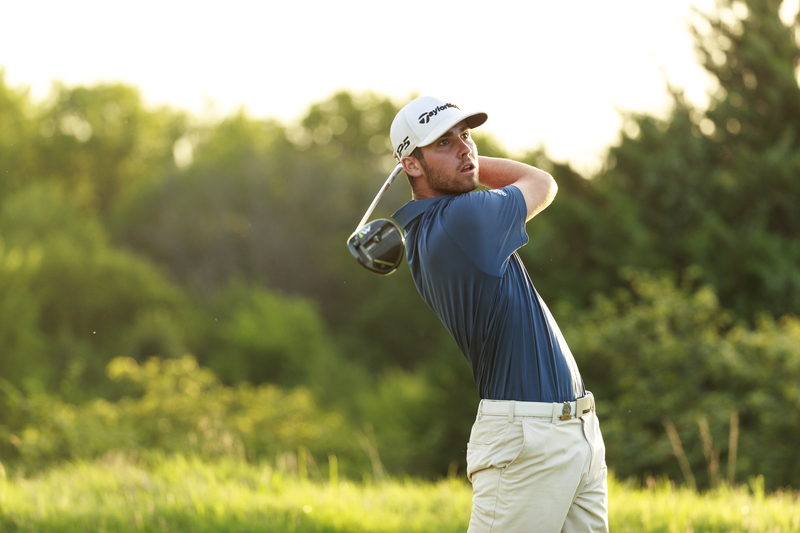 2013 FORE Magazine Cover-Boy Max Homa will tee it up at the Genesis Open this week. A timely 3-putt by Scott Piercy catapulted Homa into the top 10 at last weeks AT&T Pebble Beach Pro-Am, which earned him a spot in the field at Riveria CC. Scott Piercy's three-putt in the dark on the 18th green meant the most to Max Homa and Michael Thompson. 2006 SCGA Player of the Year Rickie Fowler overcame a final round 74 to win the Waste Management Phoenix Open. After three previous top-5 finishes, this marks Fowler's first victory at TPC Scottsdale and fifth overall on TOUR. Before Rickie closed it out to win the Phoenix Open, he had a wild stretch of holes. The Augusta National Women's Amateur field has been set and eight of the 72 players hail from Southern California. The field at Augusta includes the last two SCGA Women's Amateur Champions: Andrea Lee and Alexa Melton. The inaugural ANWA is set to take place April 3-6. 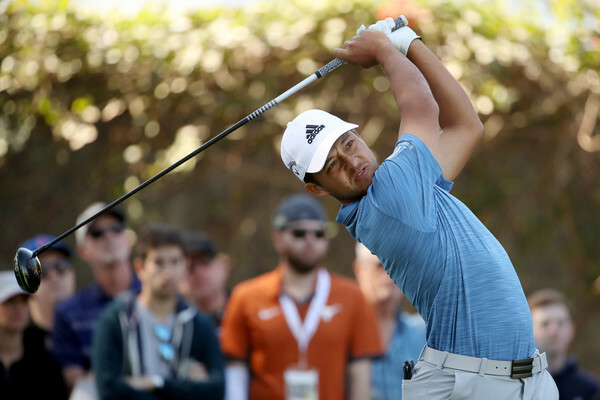 Fore Magazine cover boy and San Diego native, Xander Schauffele, will be paired with the 1994 SCGA Amateur champion, Tiger Woods, at the Farmers Insurance Open. 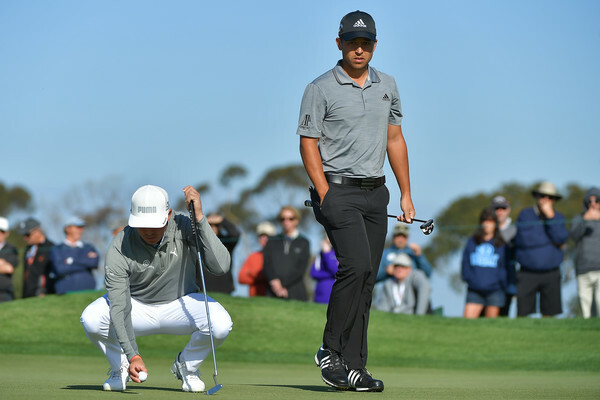 Schauffele, the current FedEx Cup points leader, will play with the 80-time TOUR winner for the first two rounds at Torrey Pines GC. Tiger Woods will kick off his 2019 campaign this week at the Farmers Insurance Open. 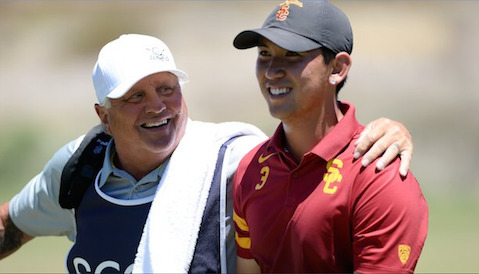 USC freshman phenom and SCGA member Charlie Reiter will get another chance to tee it up on the PGA TOUR. Reiter earned a sponsors exemption into next week's Desert Classic, which gives him another shot at making the cut after last years rounds of 68,70 and 77 left him just outside the number. Palm Desert Grad Charlie Reiter (@charles_reiter) will be in the field next month! 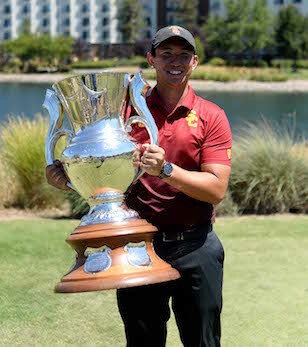 2014 California Amateur Champion Xander Schauffele fired a final round 62, which included 8 birdies and 2 eagles, good for his fourth come from behind win on the PGA TOUR. 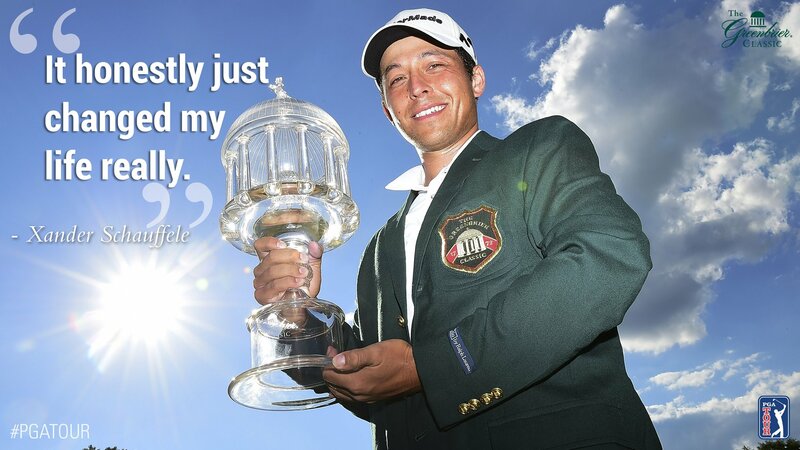 This victory rockets Xander up to first in the FedEx Cup standings and sixth overall in the world rankings. 19-year old Norman Xiong capped off a stellar week at the final stage of Web.com Tour qualifying, with a final round 69. Earlier rounds of 65, 63 and 65 helped him reach 26 under for the tournaments, good enough for 2nd place overall. Norman's finish earns him 12 fully guaranteed starts next season on the Web.com TOUR, where he will have an opportunity to reach the PGA TOUR. Danny Walker medalist at #WebTour Q-School, Norman Xiong among notables to earn status. 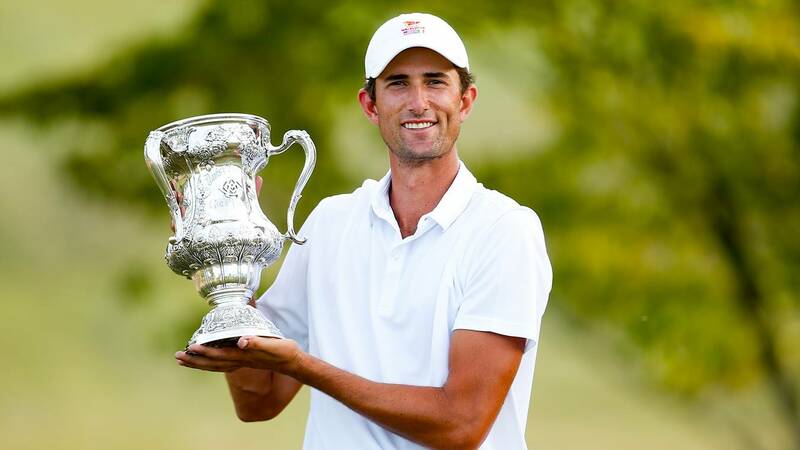 SCGA standouts Matthew Wolff and Stewart Hagestad top the exclusive list of 16 players invited to participate in the U.S. Walker Cup Team practice session Dec. 14-18. 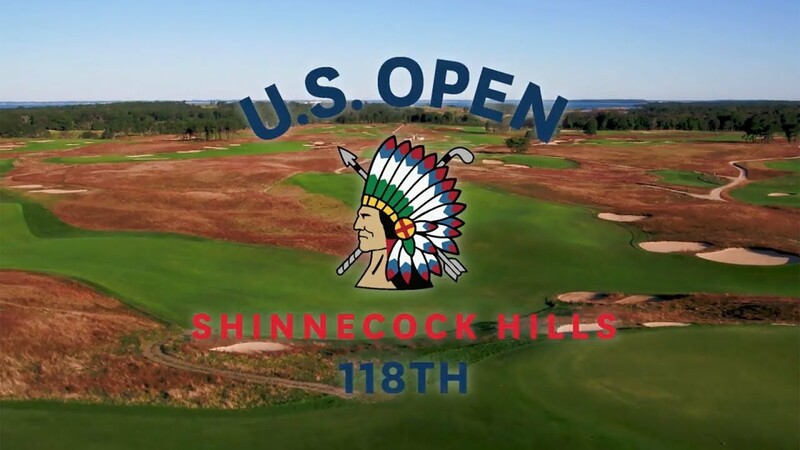 As the U.S. prepares for the 2019 matches at Royal Liverpool GC in Hoylake, England, Hagestad represents the only player on the list to have previously competed in a Walker Cup. Alison Lee, Lilia Vu and Muni He all earned LPGA Tour cards by making it through the eight-round LPGA Q series at Pinehurst, which doled out 48 Tour cards. 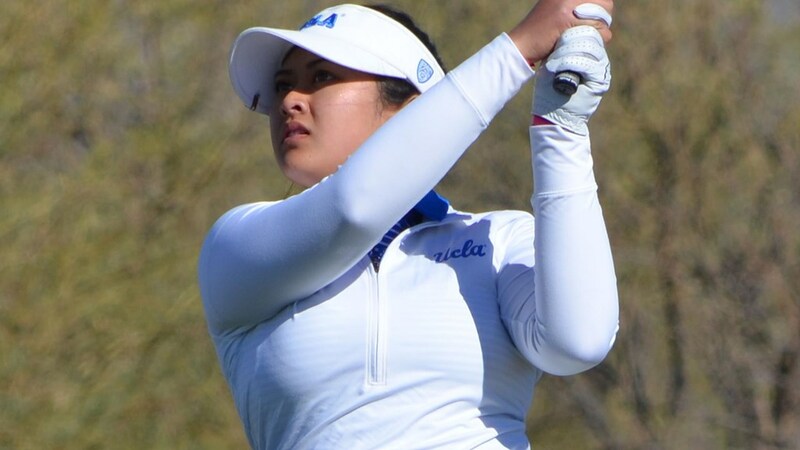 UCLA's Vu was one of eight amateurs to earn her Tour card, while FORE Magazine cover girl Muni He used a low round of 68 to comfortably earn her card. A few notable players gained full LPGA status at the Q-Series finale in Pinehurst, NC including Maria Fassi, Jennifer Kupcho, Lauren Stephenson, and Lilia Vu. 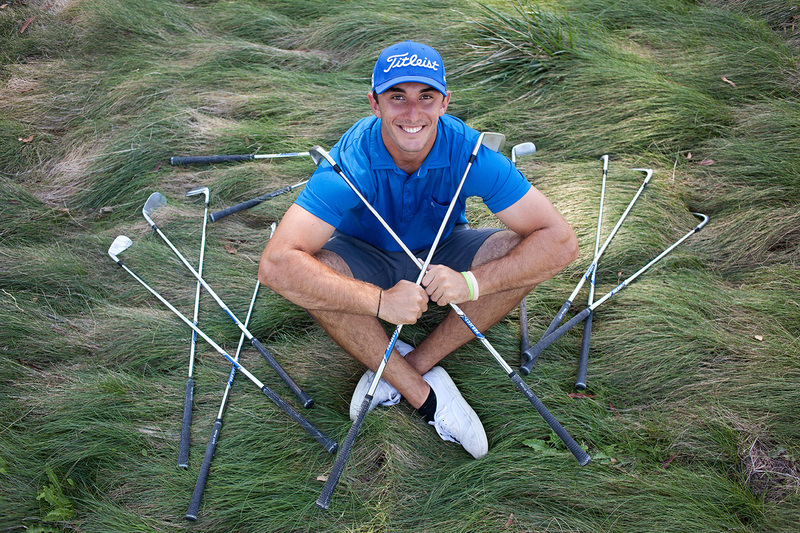 For the second year in a row the PGA TOUR Rookie of the Year has SCGA roots. 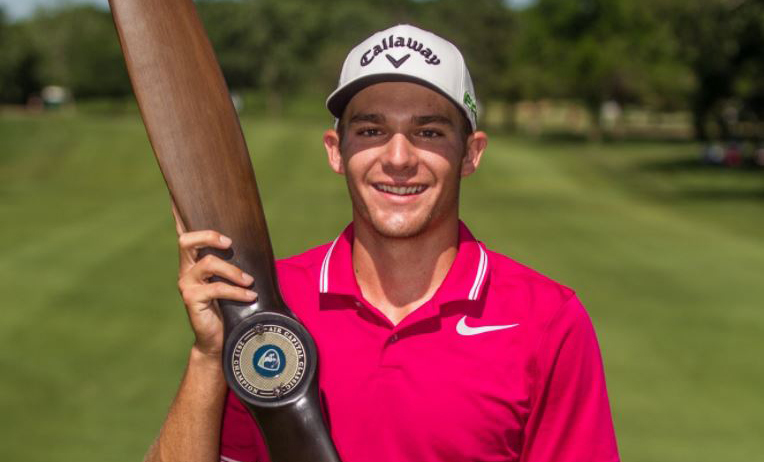 Aaron Wise followed in Xander Schauffele's footsteps as SCGA Alumni who have parlayed wins in their first year on TOUR into Rookie of the Year honors. 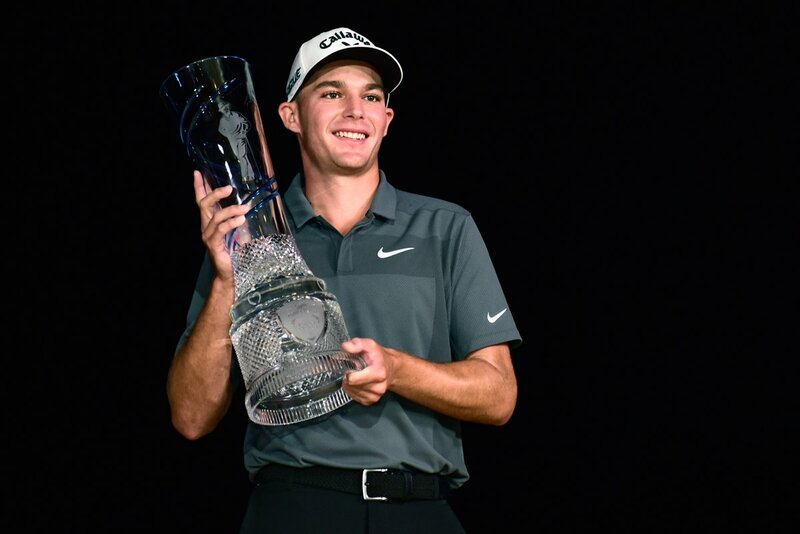 Aaron Wise has been named the PGA Tour Rookie of the Year. 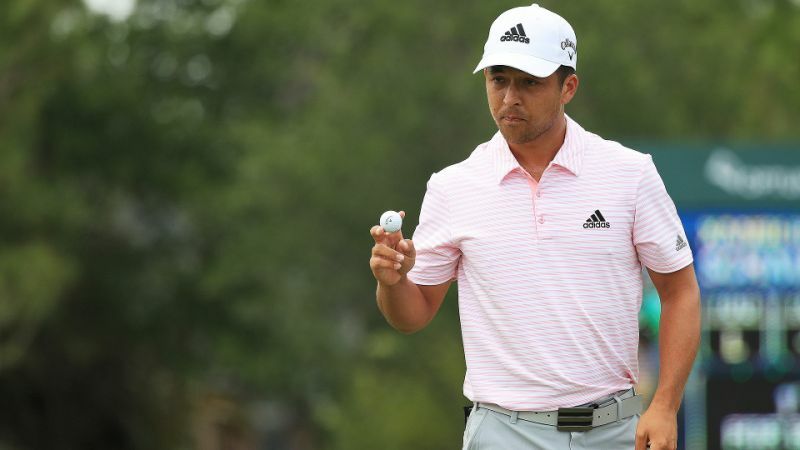 After winning in Shanghai at the WGC-HSBC Championships in a playoff against Tony Finau, Xander Schauffele is becoming a household name on the PGA TOUR. He is now first in the FedEx Cup standings ahead of Brooks Koepka and Marc Leishman. 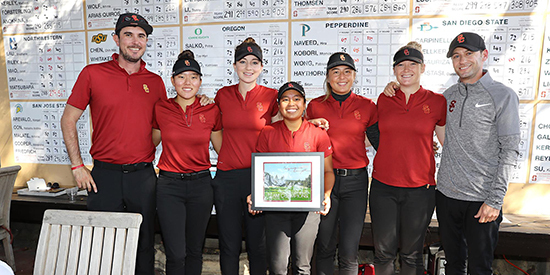 The USC men's and women's golf teams picked up victories on opposite sides of the country this weekend. Senior Justin Suh led the men's team to a come-from-behind victory at the Golf Club of Georgia Collegiate. While the SCGA's own Alyaa Abdulghany finsihed 4th, leading the Trojans to a 15 shot wire-to-wire victory at the Stanford Intercollegiate. 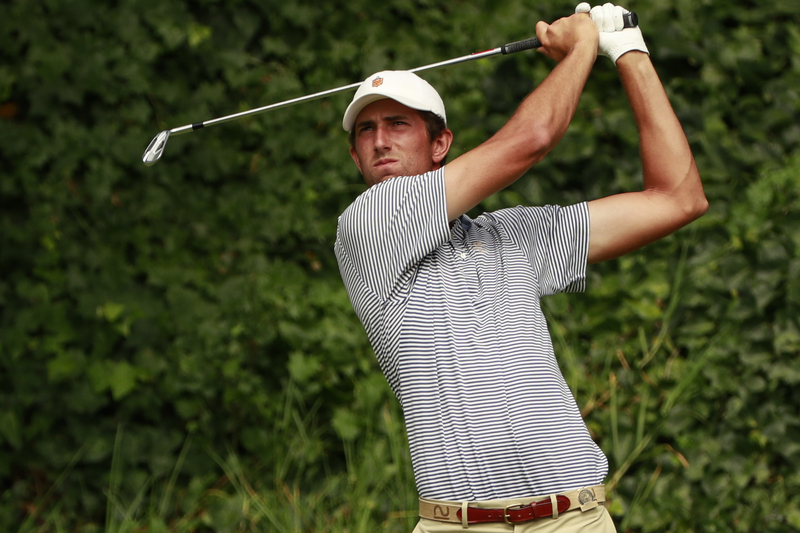 Halfway through college golf's fall season SCGA members Matthew Wolff (Oklahoma State) and Collin Morikawa (Cal) sit atop the watch list for the Fred Haskins Award, given annually to college golf's top performer. Notable former winners of the Haskins award include SCGA alumni: Tiger Woods, Phil Mickelson and Norman Xiong. The latest @TheHaskinsAward Watch List is out! 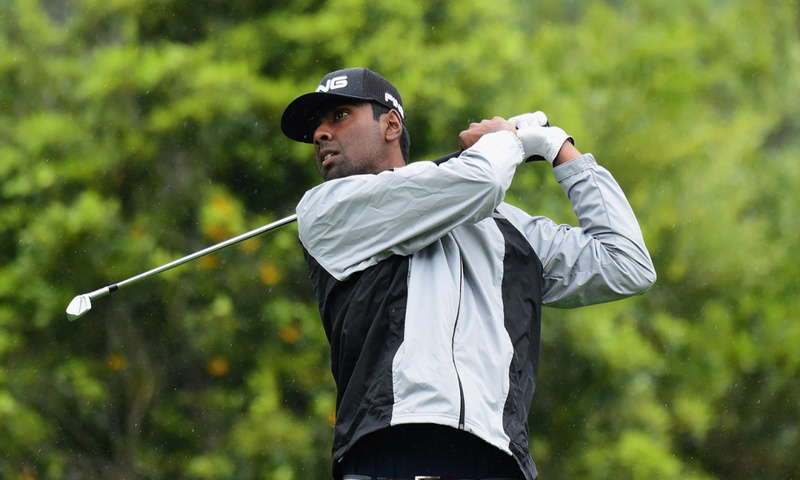 SCGA Member Sahith Theegala's injured wrist has caused him to sit out Pepperdine's Fall golf season. Theegala is considering redshirting and returning to Pepperdine for a fifth year during the 2019-20 season, before turning professional. 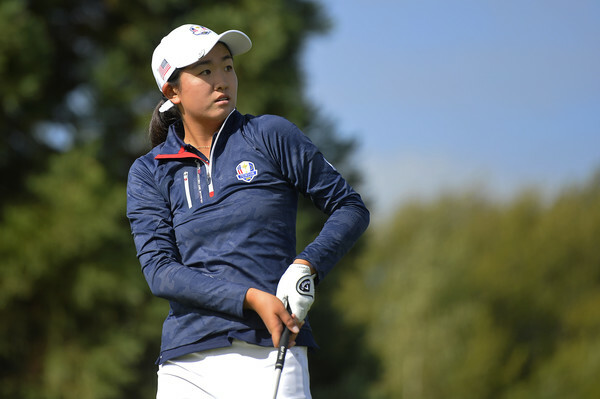 The U.S. team parlayed a dominant performance by its juniors into a one point victory at the Junior Ryder Cup. Team U.S.A., which includes SCGA members Rose Zhang and Ricky Castillo, held off a late European charge to win the cup 12 1/2 - 11 1/2, marking the team's sixth straight victory at the biennial competition. Stewart Hagestad, a Big Canyon CC member, is hoping for a return trip to The Masters. Stewart has advanced to the semifinals of the U.S. Mid-Amateur Championship meaning he needs to win only two more matches to claim the championship. This would be Stewart's second U.S. Mid-Am championship and comes with an invitation to play The Masters. For the first time since 2013, our 1994 SCGA Amateur Champion has officially returned. To end an emotional roller coaster of a season, Tiger Woods finally wins his 80th PGA Tour title at the 2018 TOUR Championship. 2018 NCAA National Champion Matthew Wolff has started off the new college golf season right where he left off, with two wins. After two events Wolff has a 67.2 scoring average, with his highest score being 70. 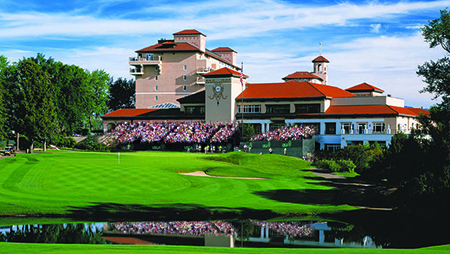 Six former SCGA Members played their way into the Tour Championship. 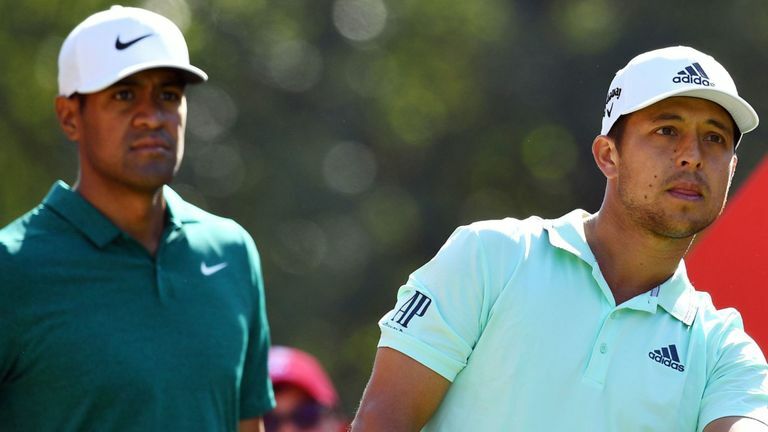 Patrick Cantlay, Xander Schauffele, Phil Mickelson, Tiger Woods, Aaron Wise and Rickie Fowler all secured spots at East Lake by finishing in the top 30 in the season long FedExCup standings. Three-time SCGA Mid-Amateur Champion Jeff Wilson becomes the first to earn medalist honors at three separate USGA amateur events. This marks his first U.S. Senior Amateur medalist honor, he is also two-time U.S. Amateur medalist, and three-time U.S. Mid-Am medalist. After finishing T-7 at the SCGA Amateur last month, UCLA sophomore Devon Bling took advantage of his first U.S. Amateur appearance by advancing to the final round at Pebble Beach, finishing runner-up to Oklahoma State's Viktor Hovland. 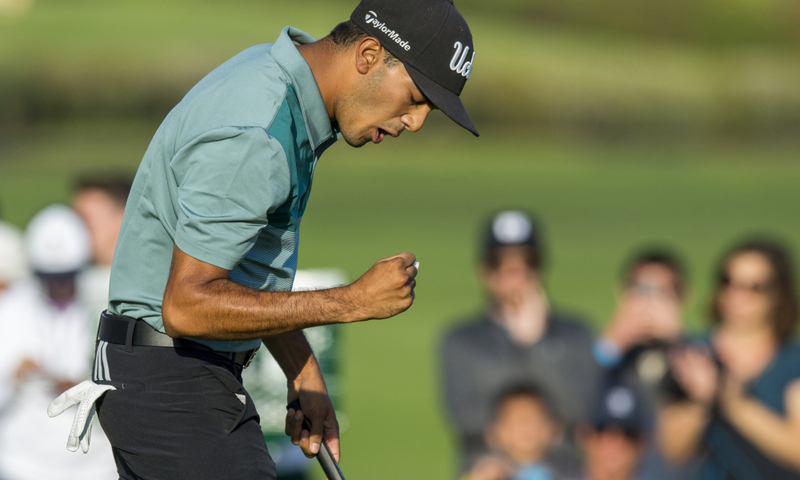 With a World Amateur Golf Ranking of 302, it was an incredible run by the Southern California product. A ton of SCGA players advanced through stroke play and onto the match play portion of the U.S. 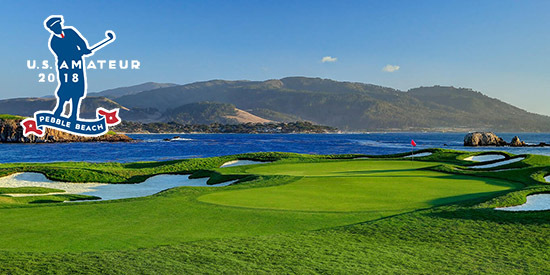 Amateur Championship at Pebble Beach. Familiar names include: Cameron Sisk, Caleb Ramirez, Devon Bling, Ryan Smith, Hide Yoshihara, William Mouw, Dan Erickson, Clay Feagler, Collin Morikawa and Stewart Hagestad. Taylor Wood and Joey Vrzich are in the epic 24 for 1 spot playoff. 2016 SCGA Amateur Champion and USC alumni Rico Hoey carded a final round 64 to move up 29 positions and into the top-10 at the KC Golf Classic at Nicklaus GC at Lionsgate in Overland Park, Kansas. Entering the final round @KCGolfClassic, @USCMensGolf alum @RicoHoey stood T38. 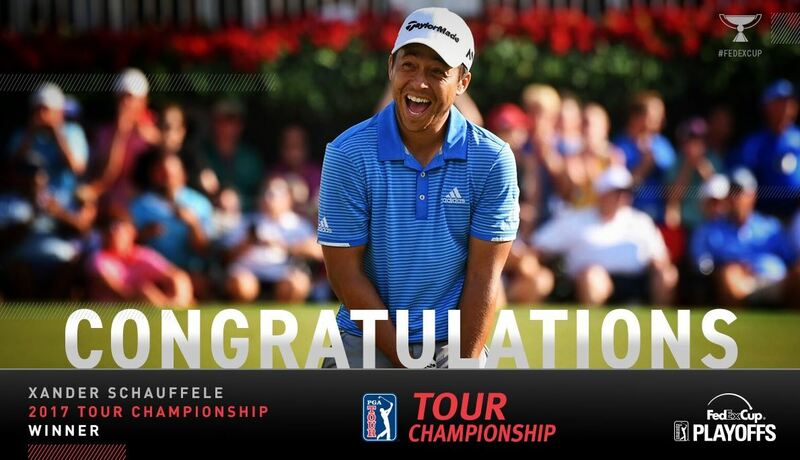 2014 California Amateur Champion Xander Schauffele tied for second at The Open Championship. Rounds of 71, 66 and 67 put him in the final group Sunday with Jordan Speith. 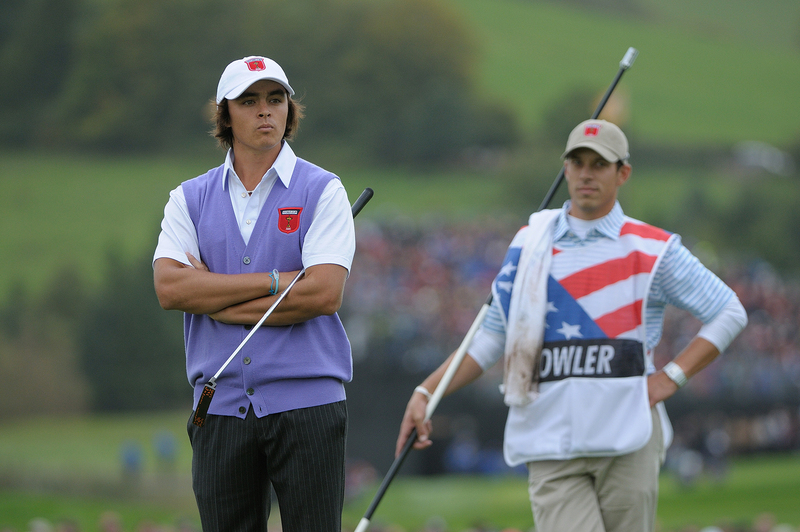 His tie for second represents Xander's best finish in any Major. Rose Zhang earned one of the first two spots on the 2018 U.S. 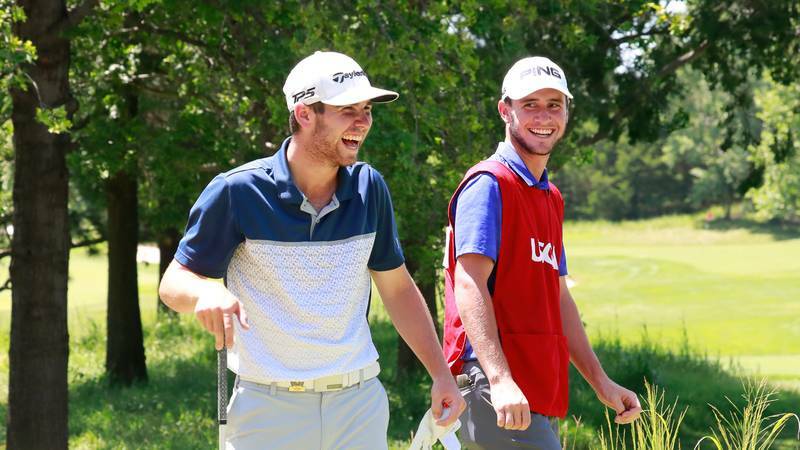 Junior Ryder Cup team on Tuesday, as Team USA looks for their sixth straight victory. The 2018 ANA Junior Inspiration Champion will join 11 other Americans at Disneyland Paris, Sept. 24-25, where they will compete against Team Europe. Californians Noh, Zhang earn first two 2018 U.S. Junior Ryder Cup team slots after 1-2 finish at the Girls @JuniorPGAChamp. 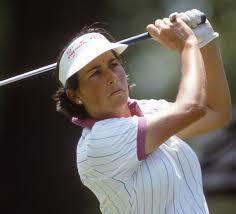 SCGA Hall-of-Famer Amy Alcott turned back the clock at the inaugural U.S. Senior Women's Open. The five-time LPGA Major Champion carded three rounds in the 70s at Chicago Golf Club, placing her in a tie for 42nd Place. 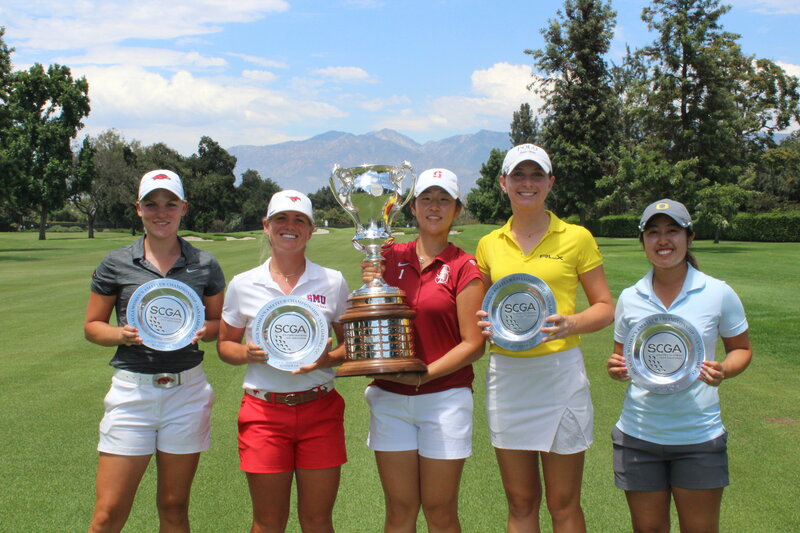 Southland standout Lilia Vu (UCLA,) former SCGA Women's Amateur champion Andrea Lee (Stanford) and four other California amateurs helped lead Team USA to victory at the Evian Resort Golf Club this weekend, finishing the tournament 38.5 to 21.2.This is the first time men and women have played as a team at the Palmer Cup. 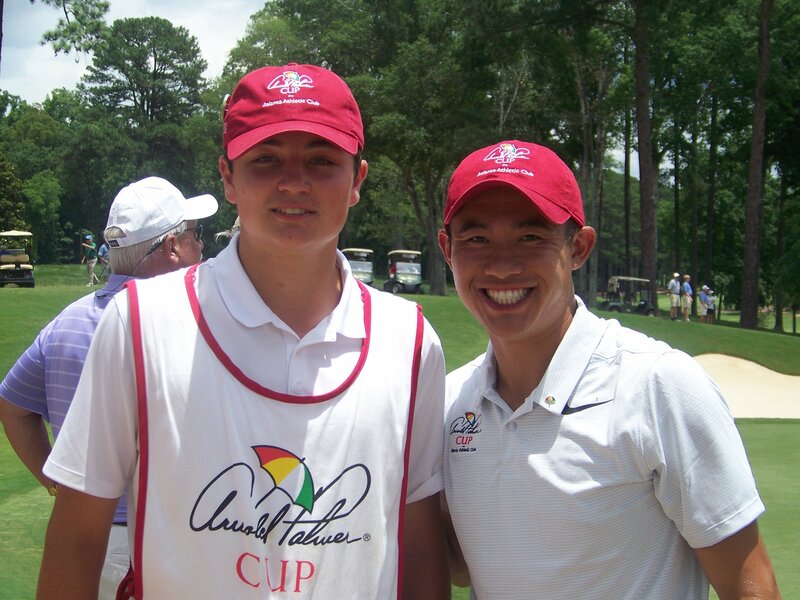 Notably, Justin Suh (San Jose) earned an exemption for the 2019 Arnold Palmer Cup. Six SoCal amateurs were on this year's leaderboard at the U.S. Senior Open. Two SCGA Mid-Am Champions finished out the weekend - Jeff Wilson, low amateur, T31, and Robert Funk, 60th. Notably, Tim Hogarth made early headlines finishing round one in the top ten. Sahith Theegala, Matthew Wolff, and Colin Morikawa (pictured) have been named to Team SCGA at the Pacific Coast Amateur, to be played at The Olympic Club in San Francisco on July 24-27. The Morse Cup Team Competition has been held every year since 1967 and is played concurrently with the Pacific Coast Amateur. Each Member association designates three players to compete for their Team during the tournament. Team SCGA is looking to win its third Morris Cup in a row. 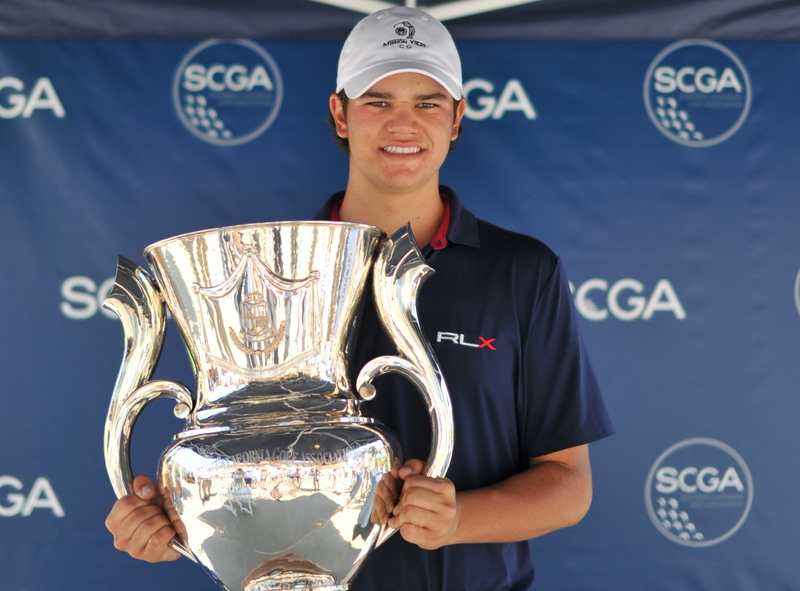 Two-time SCGA Amateur Champion Beau Hossler closed with a back nine 32 to shoot 66. Hossler's birdie-birdie finish moved him into a tie for second place, only three shots behind eventual champion Bubba Watson. Hossler looks to carry this momentum to TPC Potomac where he is teeing it up next week in Tiger Woods event. 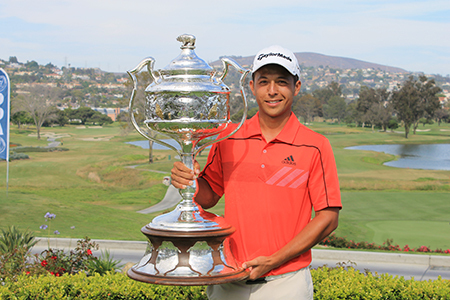 2014 California Amatuer champion Xander Schauffele led the way with a tie for sixth place. Rickie Fowler closed with a Sunday 65 and a tie for 20th place with Rancho Santa Fe native Charley Hoffman. 2011 SCGA Amatuer Champion Patrick Cantlay finished in a tie for 45th place. Meanwhile, World Golf Hall of Famer Phil Mickelson managed to garner much of an unwanted spotlight en route to a 48th place finish. 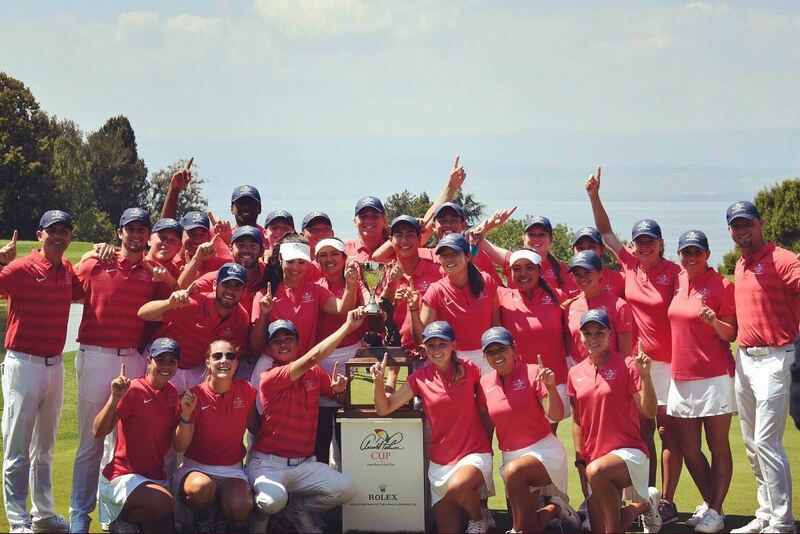 USA breaks records this weekend to win the Curtis Cup 17-3. Helping the team to victory, three California players two - of which are former SCGA Women's Amateur Champs (Andrea Lee & Lilia Vu) - and 15-year-old Lucy Li, 2017 ANA Inspiration low amateur. We will see Lee and Vu at the 2018 Palmer Cup next month. Five Southern California golfers made it through U.S. Open Sectional Qualifying to punch their ticket to Shinnecock Hills Golf Club in Southampton, N.Y. 2016 U.S. Mid-Amateur Champion Stewart Hagestad will be teeing it up in another USGA event as he made a 12-foot birdie putt on his 36th hole to avoid a playoff. Two former California Open Champions, Michael Block and David Gazzolo, will be in the field in New York as well. They will be joined by 2018 Standford graduate and Poway native Franklin Huang. Recent PGA TOUR winner Aaron Wise of Lake Elsinore holed a 25-foot birdie putt in an 11-for-3 playoff to earn his spot in the field. 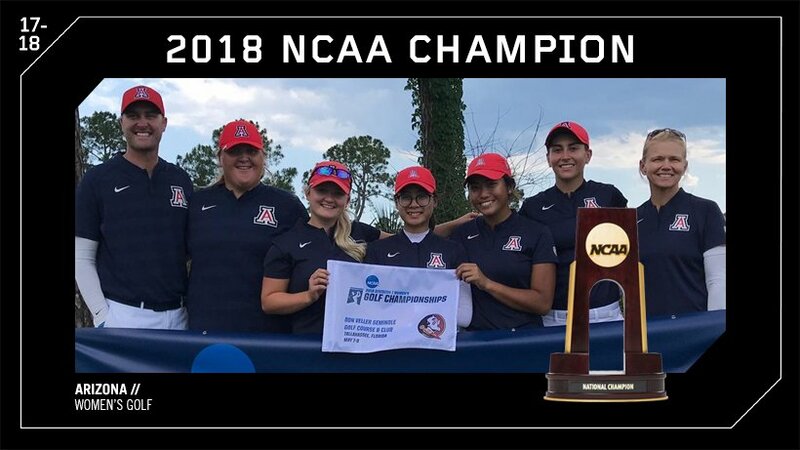 Pasqual High School graduate and University of Arizona junior Haley Moore won the final match of the NCAA Womens' Match Play Championship against Lakareber Abe of Alabama in 19 holes to secure the NCAA title for the Wildcats. Haley finished T56 in stroke play as Arizona narrowly advanced to the match play portion of the championship by winning a two-hole team playoff against Baylor to secure the eighth seed. The script flipped once match play came around as Haley was undefeated, 3-0, leading the Wildcats to their third NCAA title in women's golf. 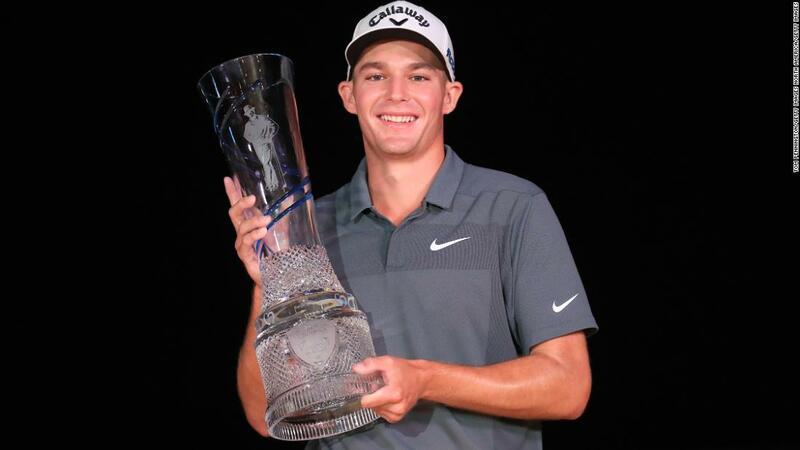 Former SCGA member and SCGA Amateur runner-up Aaron Wise, 21, won his first PGA TOUR event over the weekend, capturing the AT&T Byron Nelson Classic at Trinity Forest Golf Club in Dallas. He's the second-youngest player to ever win the Byron Nelson, only behind Tiger Woods, and took home $1.4 million for his troubles. 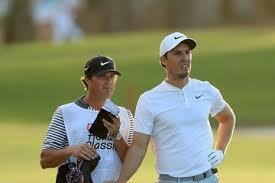 Two weeks prior, Wise finished tied for second in the Wells Fargo Championship, two shots behind winner Jason Day. On Sunday, May 20, however, the former University of Oregon standout pulled away for a three-shot victory over Marc Leishman. Wise is averaging 303.7 yards off the tee this season, which ranks 31st on TOUR. Wise also ranks 14th in birdie average at 4.12. It appears big things are on the horizon. 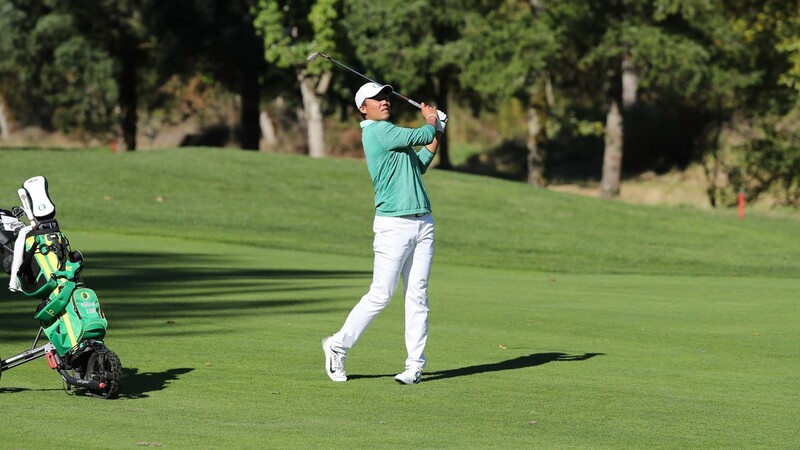 University of Oregon sophomore Norman Xiong had another impressive showing this week in the NCAA Pacific Regional at The Reserve at Spanos Park in Stockton, California, tallying his 6th individual title of the spring. Xiong posted scores of 68-67-66 to finish at -15, earning a 1-stroke victory over Stanford's Brandon Wu. His final round -6, 66 led the Ducks in a final day charge to make the five-team cut and qualify for the NCAA Championships at Karsten Creek GC in Stillwater, Oklahoma. Tiger Woods just barely made the cut at THE PLAYERS Championship at TPC Sawgrass this weekend after finishing the second round at 1-under par, right on the cut line. 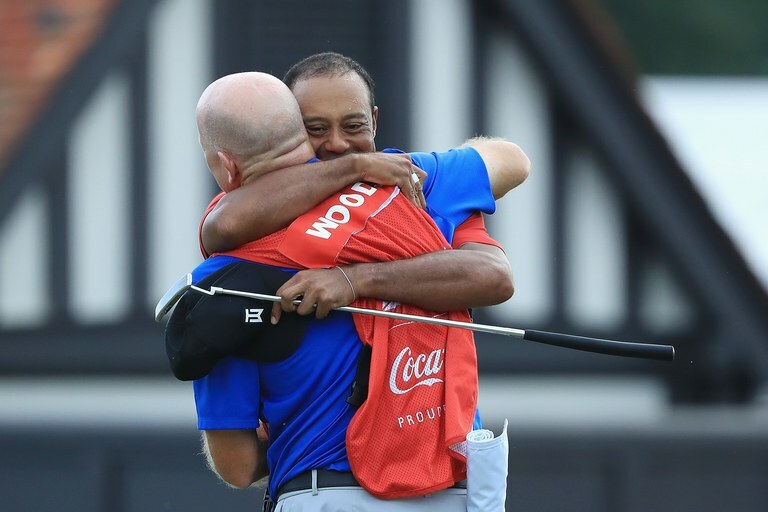 Once the weekend rolled around, Tiger was really able to get things going as he posted rounds of 7-under, 65 on Saturday and 3-under, 69 on Sunday to work his way up on the leaderboard to a T11 finish at 11-under par. The Saturday round of 65 was his best round ever at THE PLAYERS Championship and has him feeling like he is "not that far off from winning." FORE Magazine Winter 2018 cover boy and San Diego's own, Xander Schauffele shot a 5-under par 67 on Sunday at THE PLAYERS Championship to finish in a tie for second place at 14-under par. Xander was steady all weekend, shooting under-par all four days, but was able to really turn it on on Sunday as he was able to hit 15 of 18 greens in regulation and did not miss a put within 10 feet. 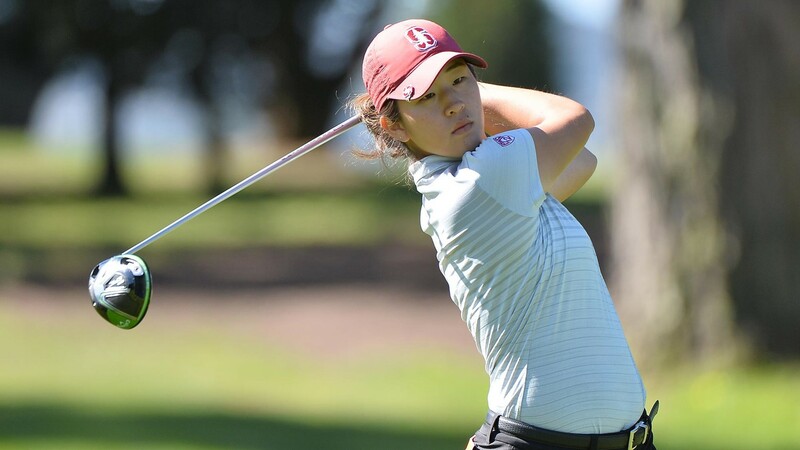 Former two-time SCGA Women's Amateur champion Andrea Lee helped the Stanford University women's golf team capture the San Francisco Regional title on Wednesday, giving the Cardinal an eighth-straight berth into the NCAA Championships. Lee (66-74-73), who found herself alone in the lead at the turn during the final round of the regional, tied for eighth despite going 3-under through Wednesday's front nine. It was her eighth top-10 finish this season. 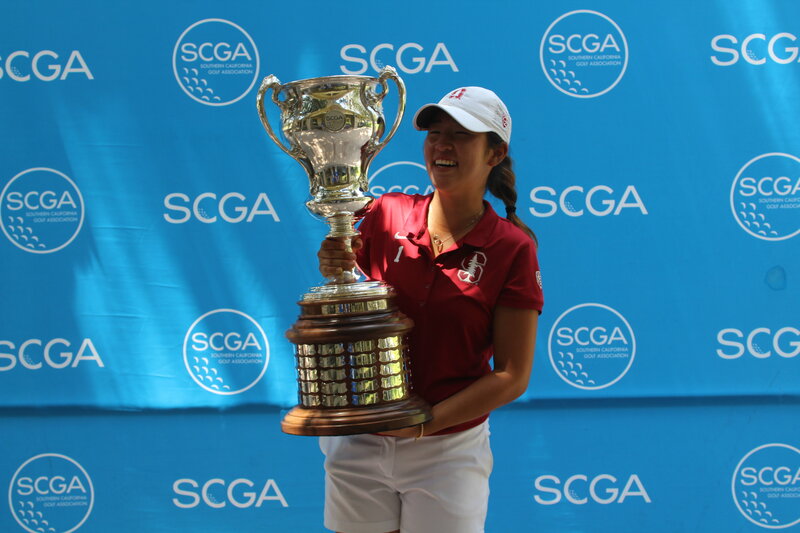 Lee, who won the first-ever SCGA Women's Amateur crown in 2015, and then captured the championship again last year, was 3-under for the San Francisco regional tournament. 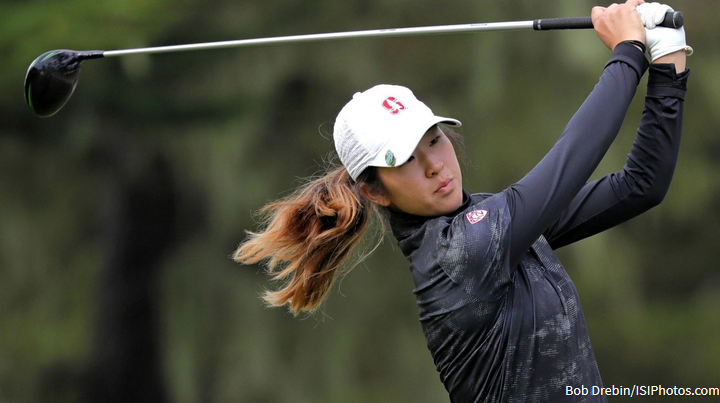 Stanford posted a third-round best 6-under 282 at TPC Harding Park. It was Stanford's third straight NCAA Regional victory and first win on the season. All alone atop the leaderboard. @andrea_lee54 is 3-under today, 7-under for the tournament. 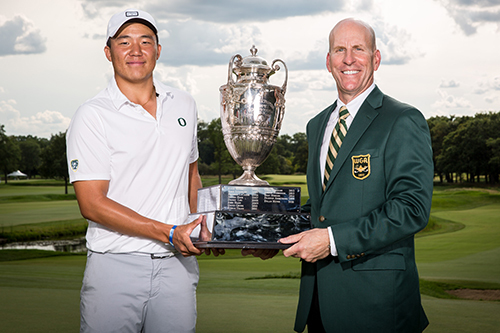 Former CIF/SCGA regional champion and California high school state champion Norman Xiong, a rising young star and sophomore on the University of Oregon men's golf team, has been invited to play in the PGA Tour's Barracuda Championship this summer in Reno, Nevada, receiving the first exemption of the 2018 tournament, which will be held Aug. 2-5 at Montreux Golf & Country Club. Xiong, of Canyon Lake, is coming off a record-setting season that included three consecutive and five total tournament victories. He's on the watch list for the Haskins Award presented annually to the most outstanding collegiate golfer. He joins a list of previous exempt Reno participants, including current Masters champion Patrick Reed in 2012, Jon Rahm in 2016, Jason Day, Adam Scott and Luke Donald. 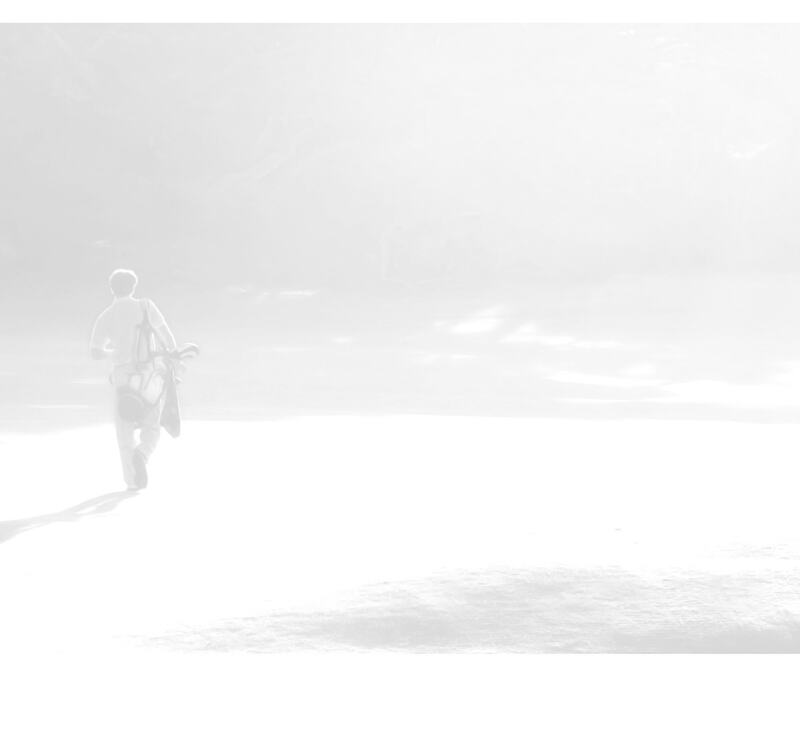 Last month, Xiong was called golf's "next big thing" in a Golf Channel story. The Ducks sophomore continues to rise through the ranks. In preparation for June's Curtis Cup Match in New York, the United States team — including former SCGA Women's Amateur champions Andrea Lee and Lilia Vu — recently spent some time together at Quaker Ridge GC, the home of next month's match. 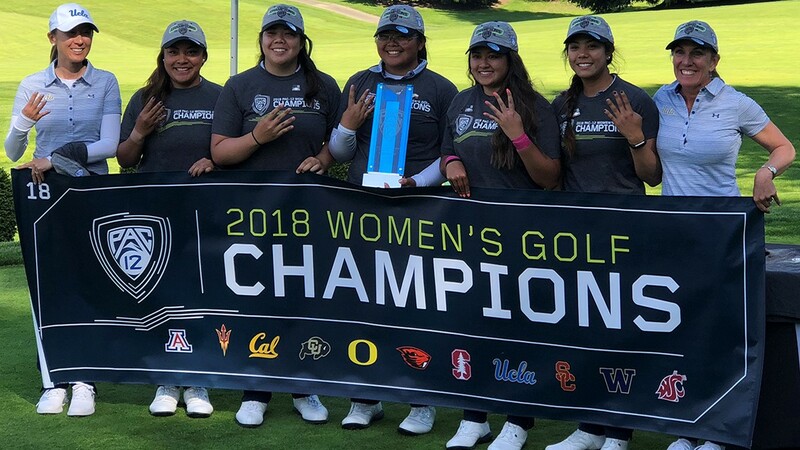 The top-ranked and defending Pac-12 champion UCLA women's golf team made it back-to-back titles on April 24 at the Broadmoor Golf Club, winning by 12 strokes. 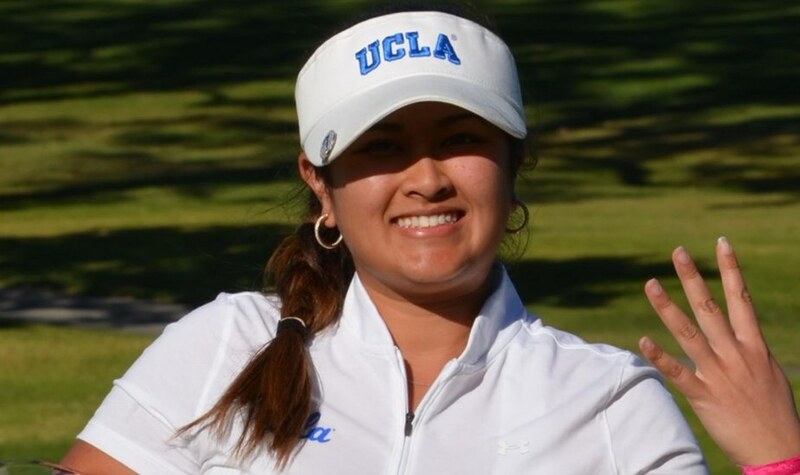 UCLA freshman Patty Tavatanakit defeated junior teammate Lilia Vu (former SCGA Women's Amateur champion) in a playoff to take home medalist honors. Vu finished Pac-12 individual runner-up and will appear in the NCAA Championship in May. ICYMI: @UCLAWomensGolf took home both the team and individual title at the #Pac12Golf Women's Championships! 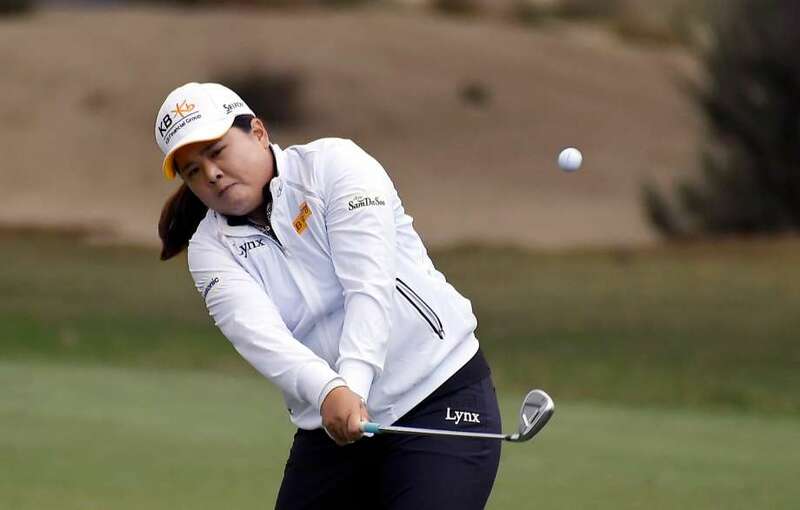 Murrieta resident Inbee Park came up just a couple shots short in the inaugural HUGEL-JTBC LA Open over the weekend at Wilshire CC, but that didn't stop the LPGA Hall of Famer from moving up the charts. With her runner-up finish in the LA Open, Park took over the No. 1 spot in the Rolex World Rankings for the fourth time in her career. Park, a South Korean superstar on the pro tour, replaced Shanshan Feng of China, who took over the top spot in November. Feng fell to No. 2, with Lexi Thompson going to No. 3. 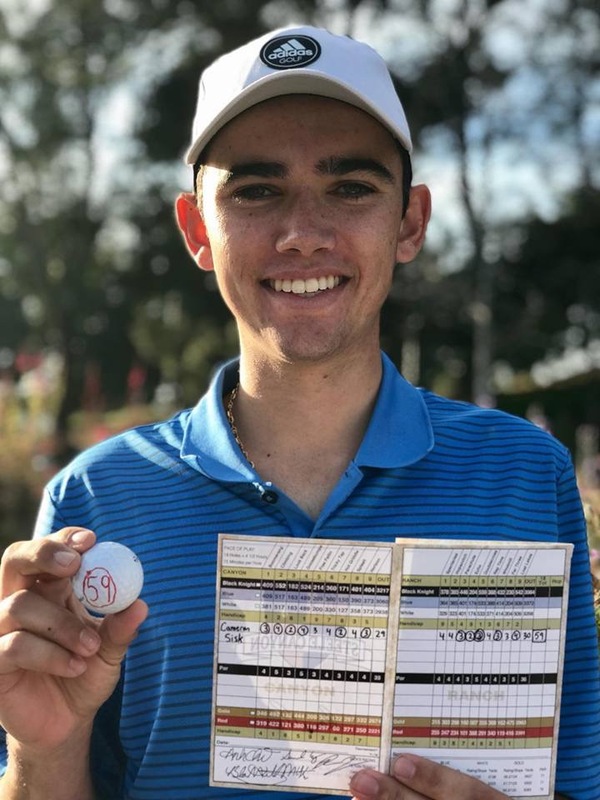 Five days after posting a 64 in the Final Round of the Ping Heather Farr Classic in Mesa, AZ and just two days after his 18th birthday, Cameron Sisk shot an amazing -12, 59 from the tips on the Canyon and Ranch courses at Steele Canyon GC. Cameron is currently finishing up his senior year at Valhalla High School and is committed to play his collegiate golf at Arizona State University. 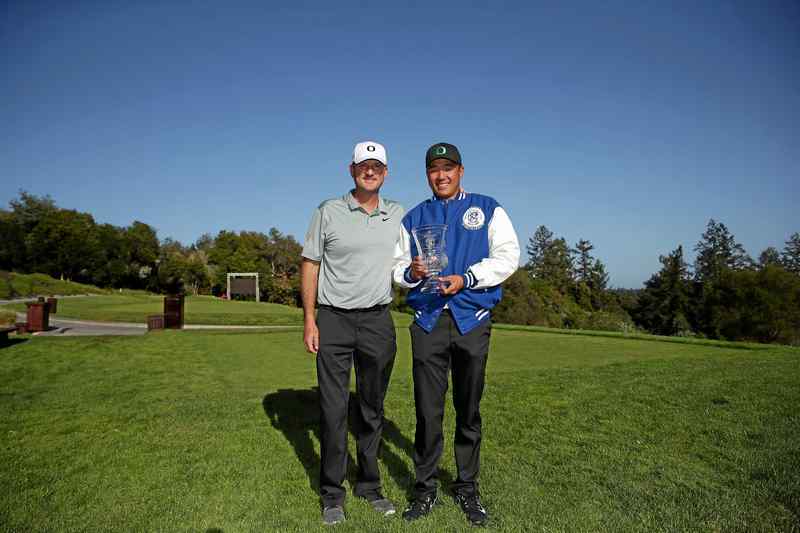 Oregon Duck and Canyon Lake, Calif. native Norman Xiong won the Western Intercollegiate at Pasatiempo Golf Club this weekend for his third consecutive victory. Norman birdied the third playoff hole to edge out fellow Southern California native Collin Morikawa for medalist honors. With the victory Norman became the University of Oregon career-leader in victories with six and also set the single-season record for victories with five. The Ducks' next tournament will be the PAC-12 Championships at Rolling Hills CC from Apr. 23-25. 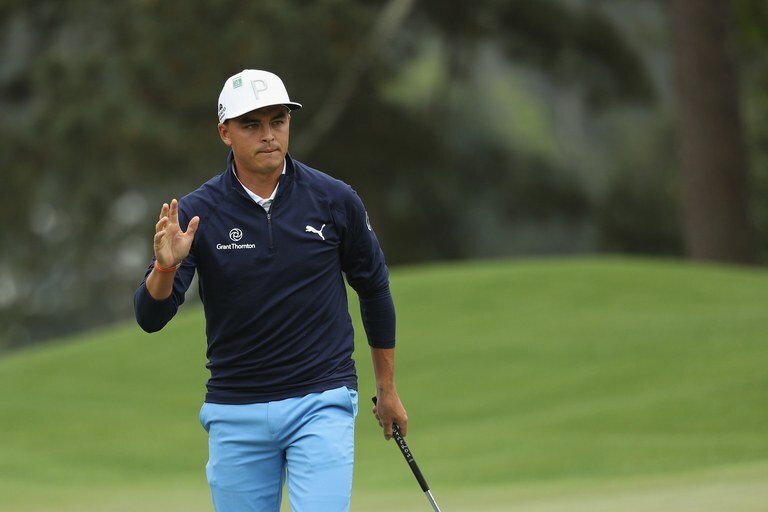 Murrieta native Rickie Fowler (-14) settled for a runner-up finish in the 2018 Masters on Sunday — the third second-place result in a major tournament during his career. Despite falling one shot short of champion Patrick Reed, Fowler said his performance at Augusta National was a preview of things to come and that he's "ready to go win a major." Fowler now has eight top-five finishes in majors, as well. Two-time SCGA Amateur champion Beau Hossler finished runner-up at the Houston Open after falling in a playoff to Ian Poulter. Hossler nearly drained a long birdie putt on the final hole of regulation to win. The second place finish is his best-ever finish on the PGA TOUR. 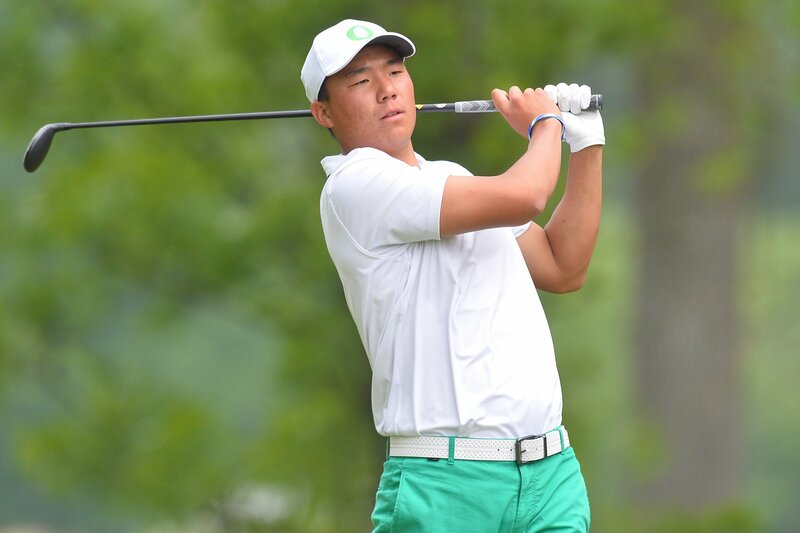 University of Oregon sophomore and Canyon Lake native Norman Xiong won both the Duck Invitational (-11, 202) at Eugene CC and The Goodwin (-15, 198) at TPC Harding Park this week. With his victory at The Goodwin, Norman set a new record for wins in a season at the University of Oregon with four while also tying the school record for career wins with his fifth career victory as a Duck. 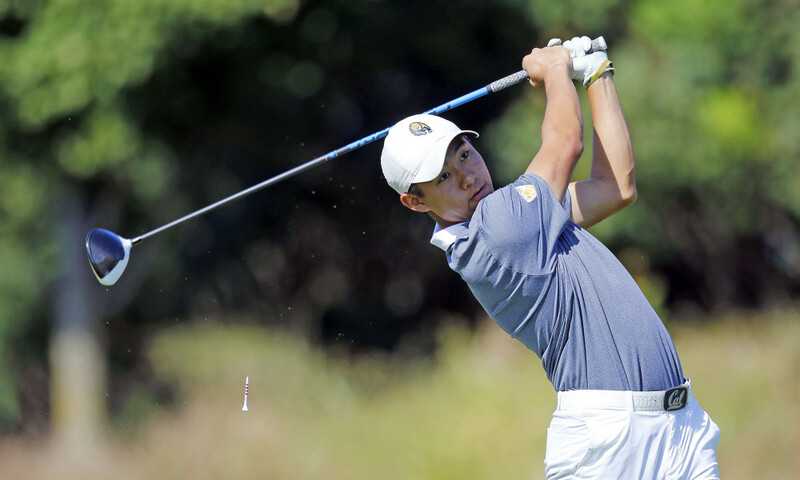 Collin Morikawa of La Cañada Flintridge also had a strong showing as he finished in a tie for fifth place at 6 under-par, helping his Cal Bears to a second place team finish. 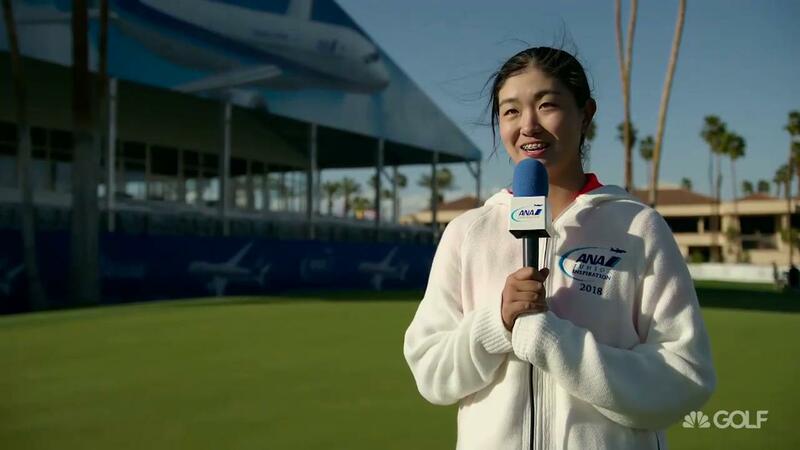 Rose Zhang adds to the list of ANA Junior winners. Following in the footsteps of Alison Lee, Angel Yin and Lilia Vu, Zhang successfully made the cut at the season's first major championship. 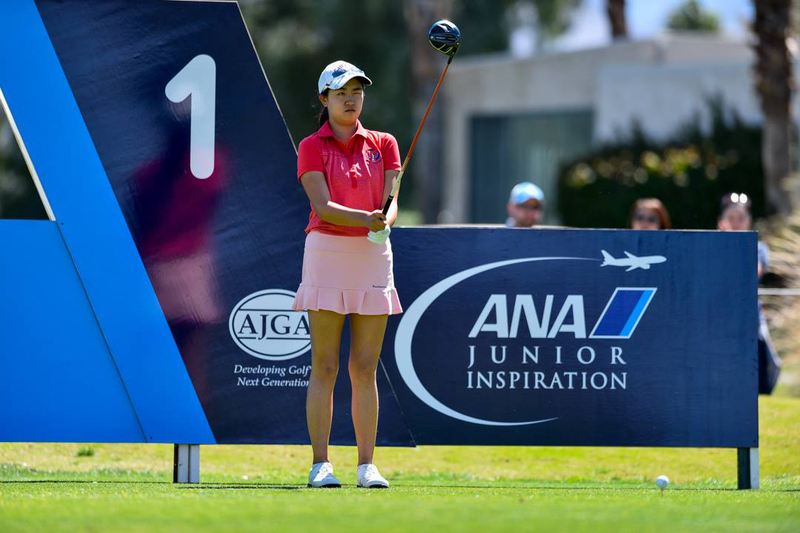 Rose Zhang (2021) of Irvine won the 2018 ANA Junior Inspiration, her first ever AJGA Invitational win, this weekend at Mission Hills CC to qualify for the LPGA's first major of the year, the ANA Inspiration. 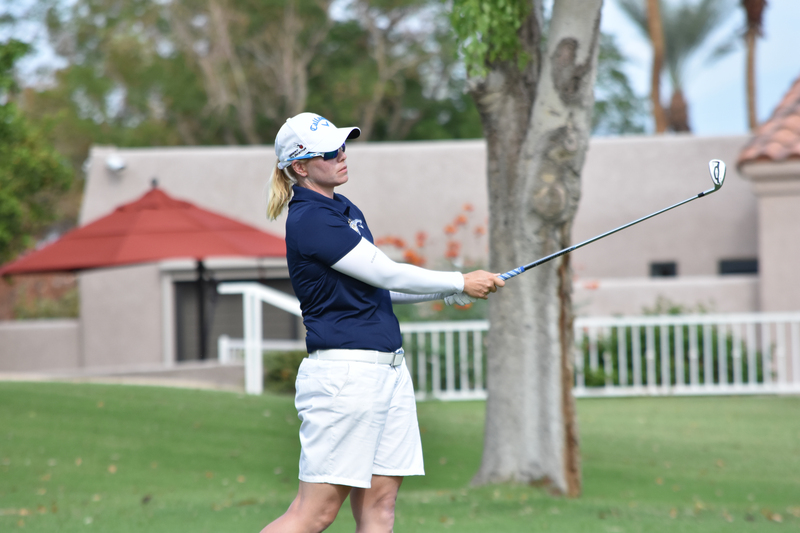 Rose birdied the final hole to post a final round 69 which was enough to edge out a win by one stroke over second-round leader Ashley Menne of Surprise, Arizona. The ANA Inspiration will tee off Thursday, Mar. 29 on the Dinah Shore Tournament Course at Mission Hills CC. Five Southern California locals were named to represent the United States at the Arnold Palmer Invitational, a Ryder Cup-style competition, which will be played July 6-8 at Evian Resort Golf Club. The two women representatives are UCLA's Lilia Vu of Fountain Valley and Stanford's Andrea Lee of Hermosa Beach. Representing the men are Sahith Theegala of Pepperdine and Chino Hills, Oklahoma State's Matthew Wolff of Westlake, and making his second appearance in the event, Collin Morikawa of California Berkeley and La Cañada Flintridge. 2016 SCGA Women's Amateur Champion and junior at UCLA, Lilia Vu won her fourth straight tournament in a row at the Wildcat Invitational, leading the Bruins to their fifth win of the season. This is the second time she has won four straight events as a collegiate, which had never been done at UCLA before, and also marks her eighth collegiate victory, another UCLA record. Lilia will look to continue her momentum at the ANA Inspiration which will be held at Mission Hills CC beginning Mar. 29. San Diego native Phil Mickelson earned his 43rd career PGA TOUR victory this weekend at the World Golf Championships - Mexico Championship at Club de Golf Chapultepec in Mexico City. Phil used a consistent weekend, which he shot all four rounds in the sixties, to hold off a strong weekend push from Justin Thomas, who set a new course record with a round of 62 on Saturday and a 64 on Sunday, which included a spectacular eagle hole out on the 72nd hole to force a sudden victory playoff. Phil would go on to win on the first hole of the playoff, making a par on the Par 3 17th hole. The ANA Junior Inspiration just announced its field of 48 of the most talented junior golfers from around the world who will compete with the hopes of earning an exemption into the LPGA's first major championship of the season, the ANA Inspiration. Of those 48 golfers, 12 are current or former SCGA Junior members: Amari Avery, Hailey Borja, Zoe Antoinette Campos, Brianna Chacon, Alexa Melton, Brianna Navarrosa, Calista Reyes, Brooke Seay, Kailie Vongsaga, Elizabeth Wang, Nicole Whiston, and Rose Zhang. 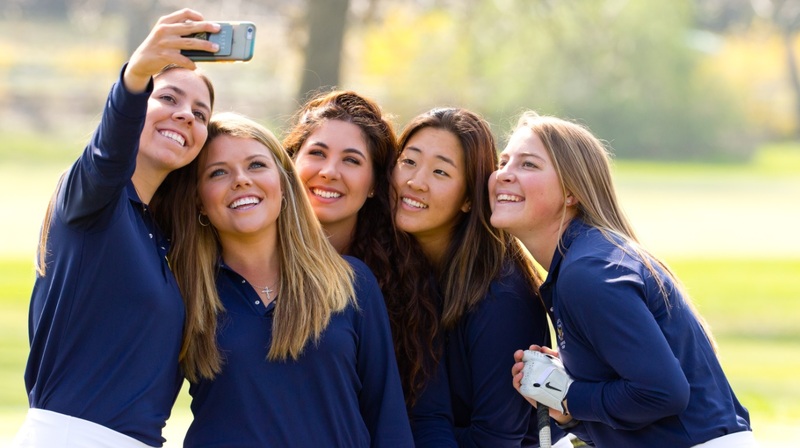 The ANA Junior Inspiration will take place from March 22-25 and will be played on Mission Hills CC's Dinah Shore Tournament and Pete Dye Challenge Courses. Fountain Valley native and 2016 SCGA Women's Amateur Champion Lilia Vu has been invited to play in the 2018 ANA Inspiration. The second ranked amateur by the Women's World Amateur Golf Ranking and reigning Pac-12 Women's Champion, Vu will be making her first start on the LPGA Tour since qualifying for the 2015 U.S. Women's Open. The tournament is hosted at Mission Hills CC in Rancho Mirage, CA the week of Mar. 26 - Apr. 1. 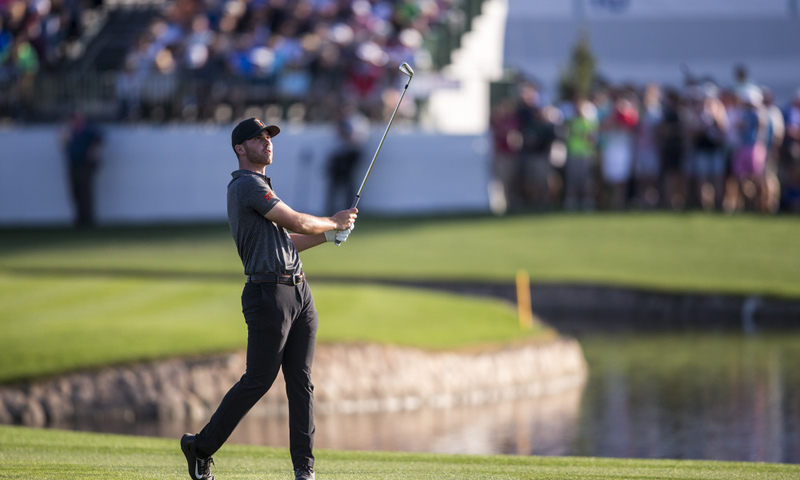 Torrey Pines graduate, Jamie Lovemark used a strong start at the Honda Classic this weekend to finish with a total score of 3 under-par, good for sole possession of seventh place. This is already Jamie's second top-10 finish of the season; he will take a week off before looking to continue to build on this momentum at the Valspar Championship beginning on Mar. 8. Taking the lead in style. 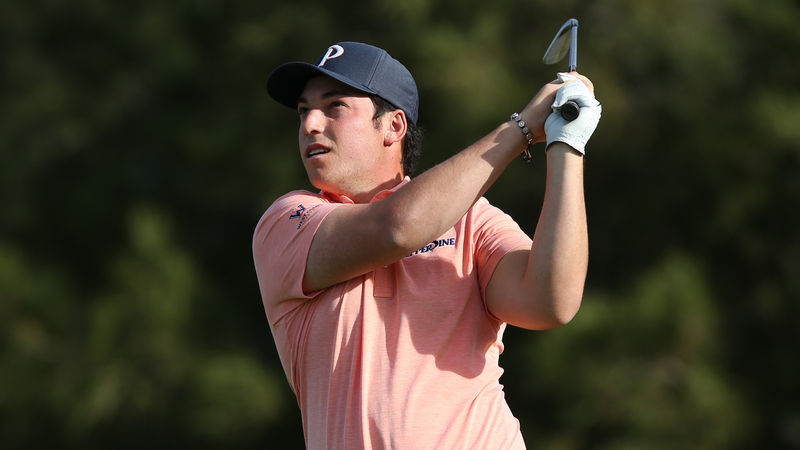 The Genesis Open at Riviera CC featured a number of Southern California natives, but two young-guns in Patrick Cantlay (T4) and Xander Schauffele (T9) rose above the rest on their way to Top-10 finishes. Both Cantlay and Schauffele will make their next start at the World Golf Championships - Mexico Championship which tees off Thurs., Mar. 1. Back-and-forth down the stretch @GenesisOpen! 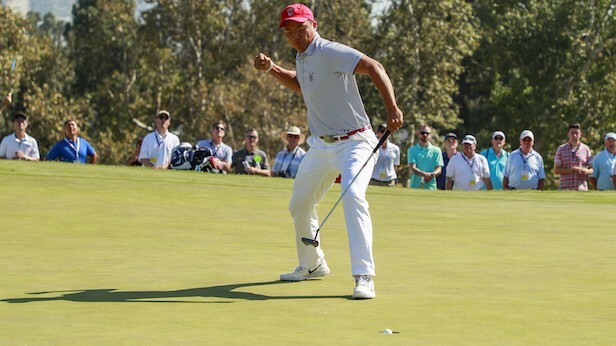 Westlake Village native and former USC Trojan, Sean Crocker finished the 54-hole stroke play portion of the tournament in a tie for second place to qualify him for the final day of six-hole knockout match play to determine the winner. Crocker won his opening match of the match play format, but lost in the quarter final to eventual champion Kiradech Aphibarnrat. 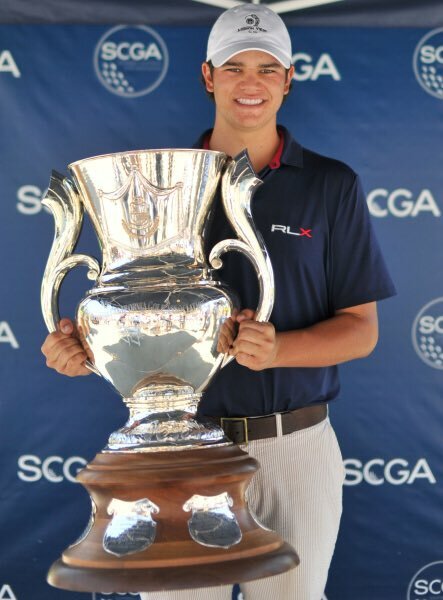 The 2018 Genesis Open kicks off tournament week with its Collegiate Showcase, which teams PGA TOUR professionals with current collegiate stars including SCGA alumni Spencer Soosman, a Longhorns sophomore by way of Westlake Village who led Westlake HS to become the first high school to win consecutive CIF State Team championships in 2014 and 2015. Tons of notable names are vying for a spot in the Genesis Open via the Monday qualifier at Industry Hills GC. SCGA Amateur Champions Rico Hoey and Bhavik Patel, FORE Magazine cover boy Max Homa and SCGA Junior star Ricky Castillo are all in the field. Follow along with live scoring below! Patrick Cantlay, of Servite High School and UCLA, made a hole-in-one on the 11th hole at Monterey Peninsula C.C., just his second hole of the tournament at the AT&T Pebble Beach Pro-Am. Cantlay is in the hunt for his second win of the season in just his fifth start. Patrick Cantlay is off and running! Sahith Theegala of Pepperdine University finished the Waves Challenge at Saticoy C.C. at 11-under par, 16 shots clear of his next competitor. Theegala's performance led the Waves to their first win of the season with a comfortable margin of 37 shots over second-place UC Santa Barbara. Lol. 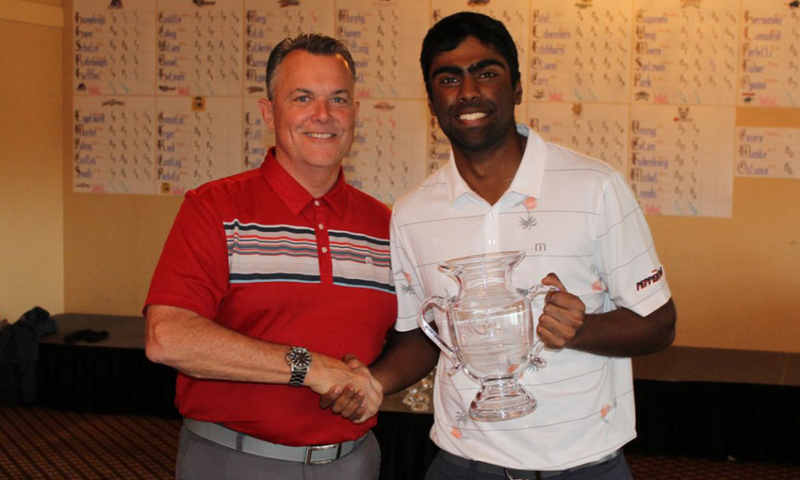 Pepperdine’s Sahith Theegala won a 54-hole college tournament by 16(!!!!) shots. He shot 70-68-67 at notoriously tough Saticoy CC. And yes, it was a Division I field. Theegala made the cut in last year’s Genesis Open, shooting a first-round 67 en route to a T49. Southern California native Beau Hossler has officially been added to the field of the Waste Management Phoenix Open as the first alternate. 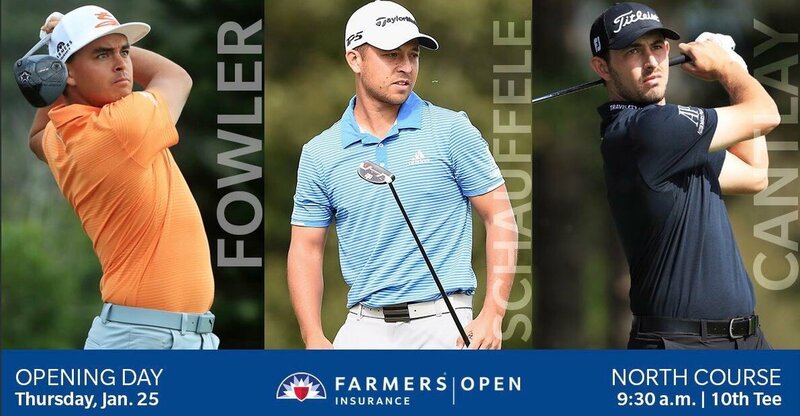 Southern California locals Rickie Fowler, Xander Schauffele, and Patrick Cantlay are set to tee off together for the opening rounds of the Farmers Insurance Open. Alison Curdt, PGA of Wood Ranch GC fired back-to-back rounds of 69 for a two-day total of 138 to capture the 2017 SCPGA Women's Section Championship. Curdt also won the event in 2015. 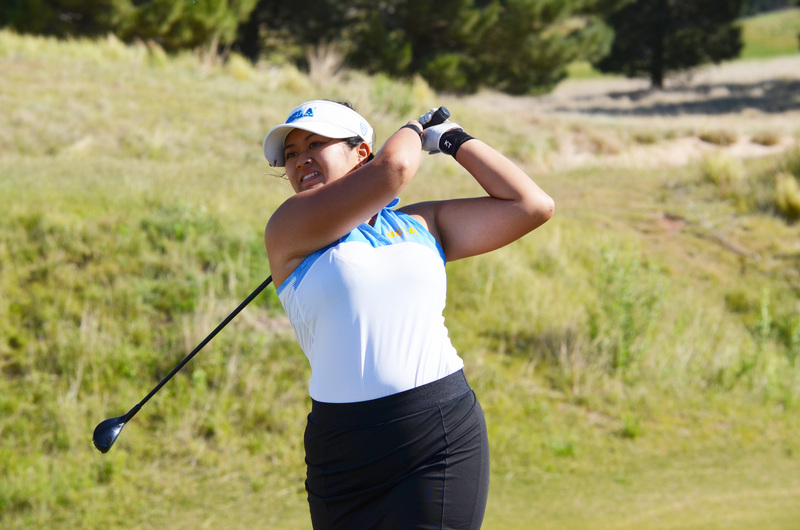 Returning a duplicate result as last week's collegian event, there was a SoCal Golf sweep at this week's Nanea Pac-12 Preview, with UCLA Women's Golf capturing the team title and Hermosa Beach's Andrea Lee of Stanford earning her sixth collegiate individual win. Lee is in her sophomore season. The third-ranked Bruins overcame a seven-shot deficit on Wednesday at Poppy Hills GC to defend their Stanford Intercollegiate title, defeating the host Cardinal by three strokes. 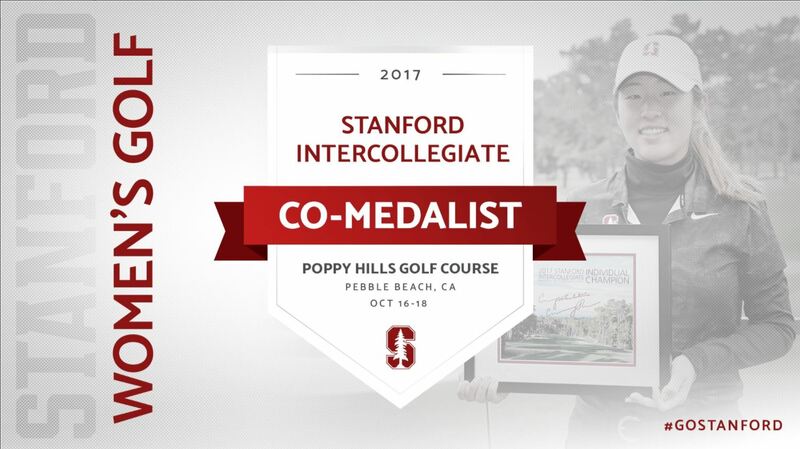 UCLA freshman Patty Tavatanakit shared medalist honors with Stanford's reigning FORE Magazine cover girl Andrea Lee of Hermosa Beach. Oregon sophomore Norman Xiong won his second tournament of the young season, finishing 13-under par in the Nike Collegiate Invitational at Pumpkin Ridge Golf Club Tuesday. 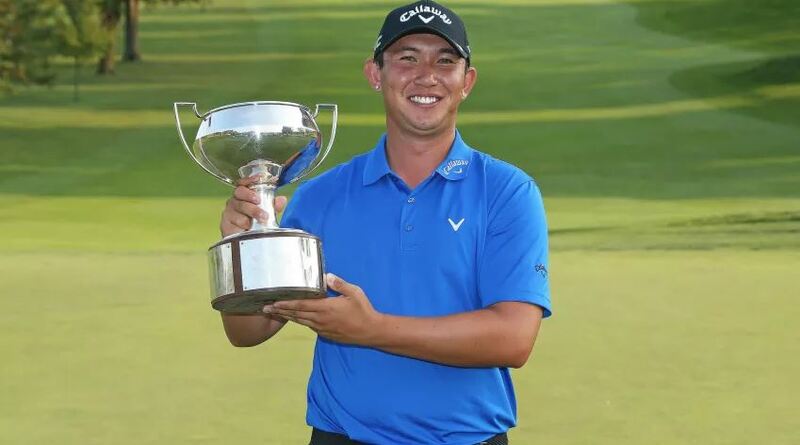 The 2014 California Amateur Champion Xander Schauffele ends his rookie season with a sensational victory at the TOUR Championship, netting a cool $3.5 million with the title. It was better late than never for 2016 SCGA Amateur Champion Rico Hoey, who captured his first Mackenzie Tour – PGA TOUR Canada victory on Sunday at the season-ending Freedom 55 Financial Championship to earn a spot in The Five and secure Web.com Tour status for 2018. It all came down to one last day. 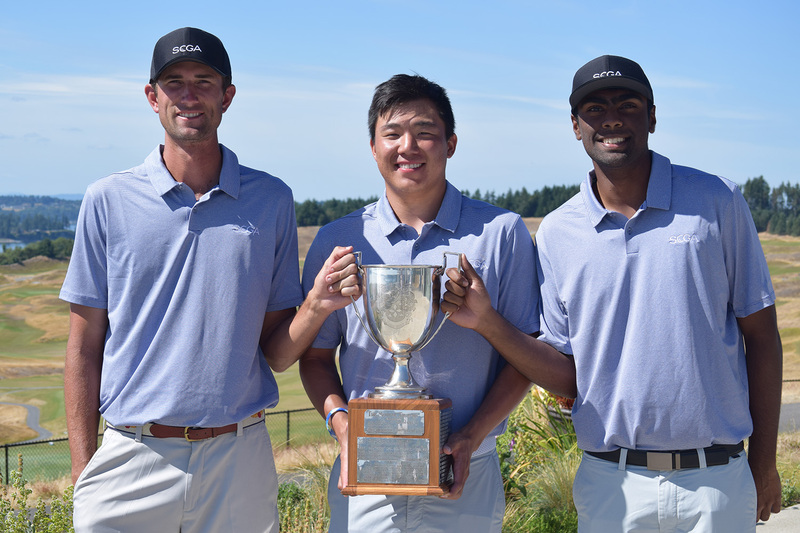 After an impressive summer that included a win at the Western Amateur and a dominating performance at The Walker Cup Matches, SCGA member Norman Xiong kept the momentum going with a season-opening win to kick off his sophomore season at the University of Oregon. With rounds of 68 and 65 at the Rod Myers Invitational in North Carolina, Xiong won the individual title while his Ducks came in second. 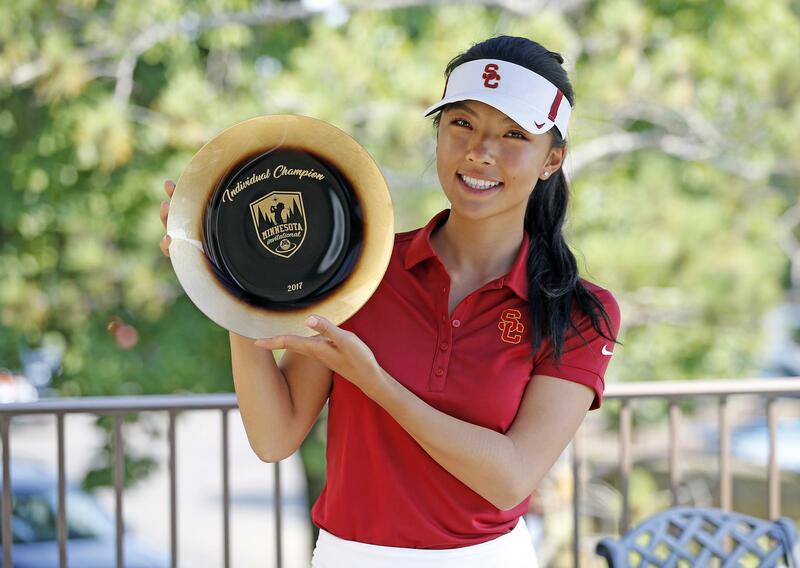 SCGA member Muni He earned a share of her first collegiate title, joining freshman Alyaa Abdulghany who was also under par to lead the USC women's golf team to its third straight season-opening win at the Minnesota Invitational. 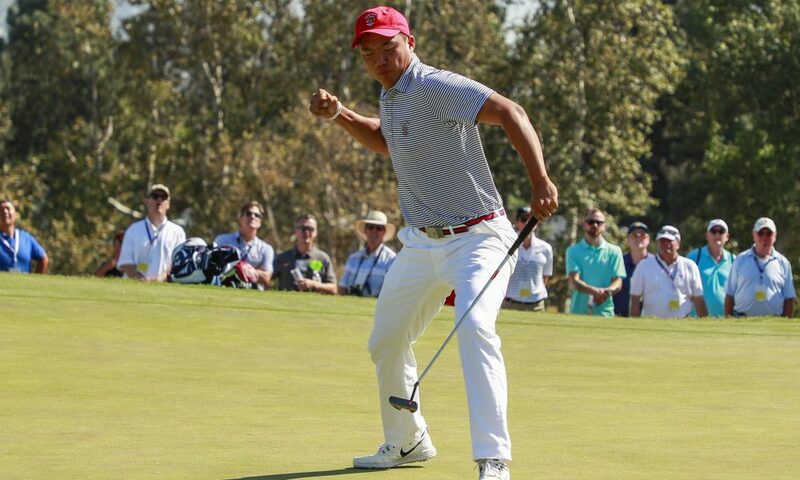 Team USA, which included three SCGA members, wins the 46th Walker Cup at The Los Angeles CC in convincing fashion. 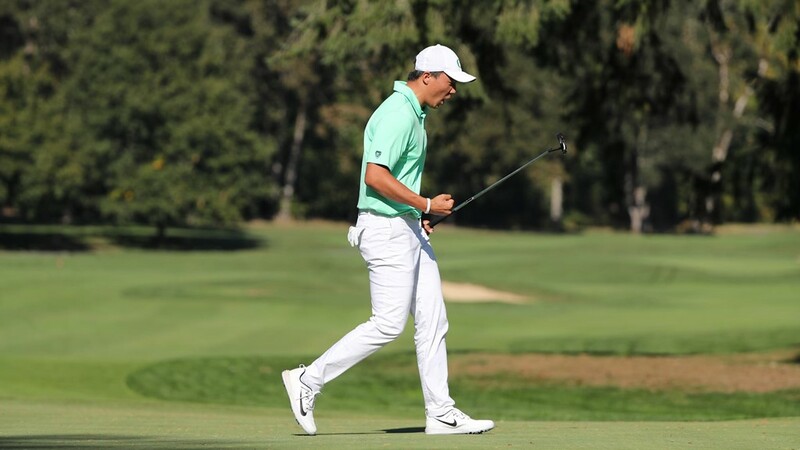 Twenty-five PGA Tour cards were handed out Sunday in Portland, Ore. Two-time SCGA Amateur Champion Beau Hossler and 2015 SCGA Amateur Runner-Up Aaron Wise secured guaranteed status for the 2017-2018 PGA TOUR season.
.@beauhossler has his PGA Tour card! Reigning U.S. Mid-Amateur Champion Stewart Hagestad, Collin Morikawa and Norman Xiong were all selected to the 2017 United States Walker Cup Team, the USGA announced Sunday at the conclusion of the U.S. Amateur Championship. 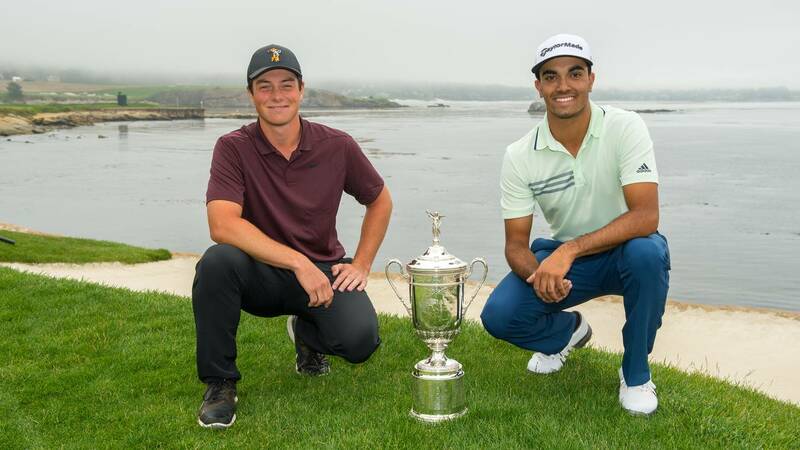 The Walker Cup appearance will be a first for all three SoCal stars, as the 46th Walker Cup Match heads to The Los Angeles CC’s North Course Saturday and Sunday, Sept. 9-10. Alyaa Abdulghany and Brooke Seay will join their fellow USA teammates as the Junior Solheim Cup gets underway today in Des Moines. 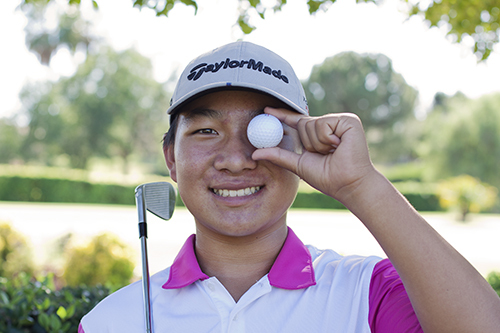 Edwin Kuang of Murrieta won the 57th Annual California State Boys Junior Amateur Championship at Bear Creek Golf Club. Shooting an impressive two-day total of 7-under par, 137, Kuang won the tournament by four strokes. Kuang joins Rickie Fowler (2005) and Bryson Dechambeau (2010) as champions of this prestigious tournament. 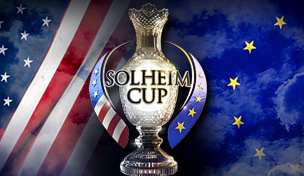 The teams for the 2017 Solheim Cup are set after the captains made their final picks Sunday. Danielle Kang, Lizette Salas and Angel Yin have all earned a spot on the coveted roster. The teams for the 2017 #SolheimCup have been set after the captains made their final picks Sunday. 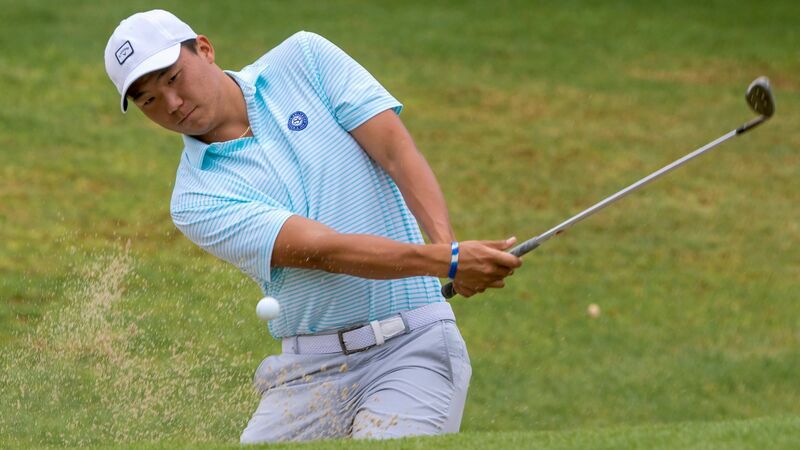 Norman Xiong, a rising sophomore at the University of Oregon and native of Canyon Lake, Calif., joined a list of prestigious SCGA members Saturday by winning the Western Amateur. Earning medalist honors Thursday, Xiong continued his success in match play, ending his week with a 22-hole victory in the event's championship match. 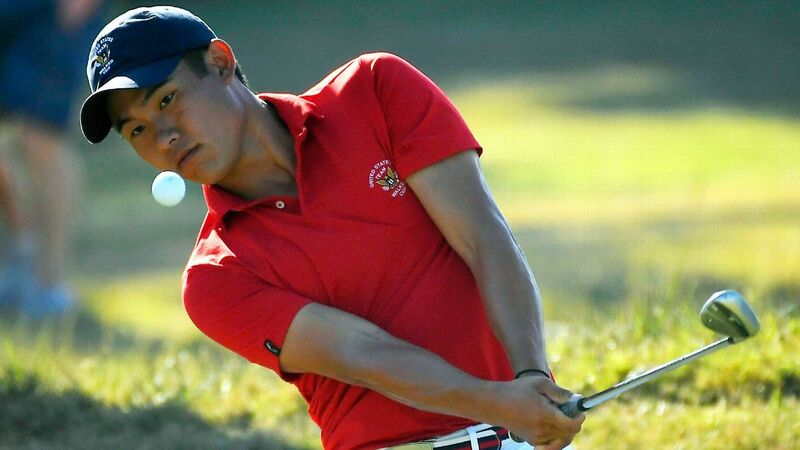 Xiong joins SoCal stars Beau Hossler, Jamie Lovemark, Tiger Woods and Phil Mickelson as champions of the event. 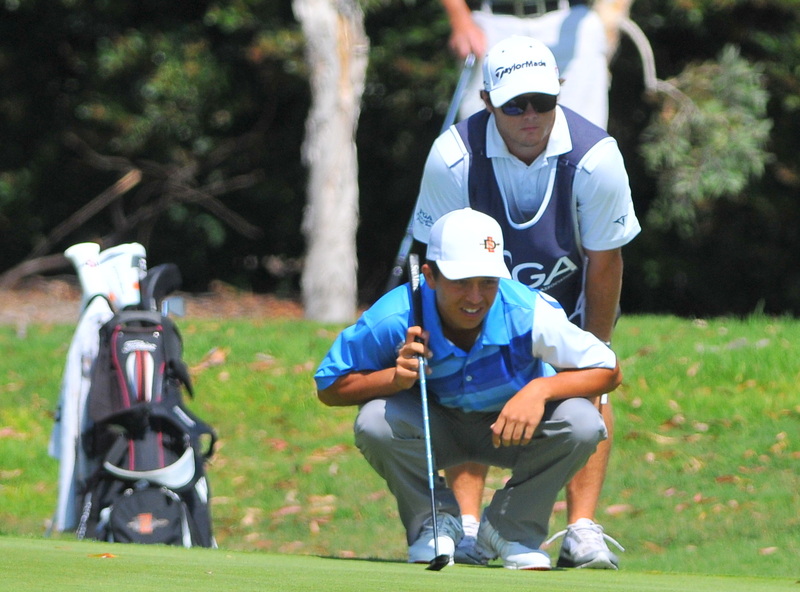 SCGA member Norman Xiong came from behind Thursday to earn medalist honors at the 115th Western Amateur. He advances to match play, which is now underway. With a field headlined by top female amateurs from Southern California, the U.S. Women's Amateur will make its Southland return Monday at San Diego CC. 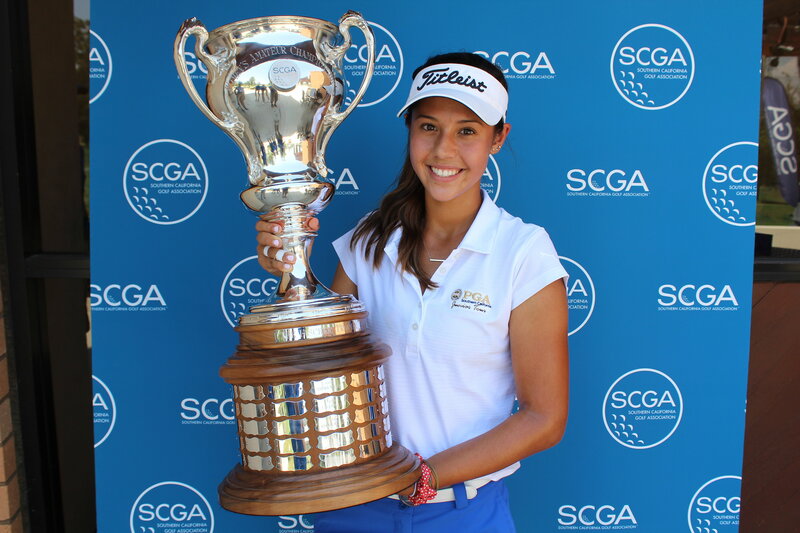 SCGA Women's Amateur Champ Andrea Lee, as well as many other familiar faces, will be in the field as the nation's best compete for a national title. 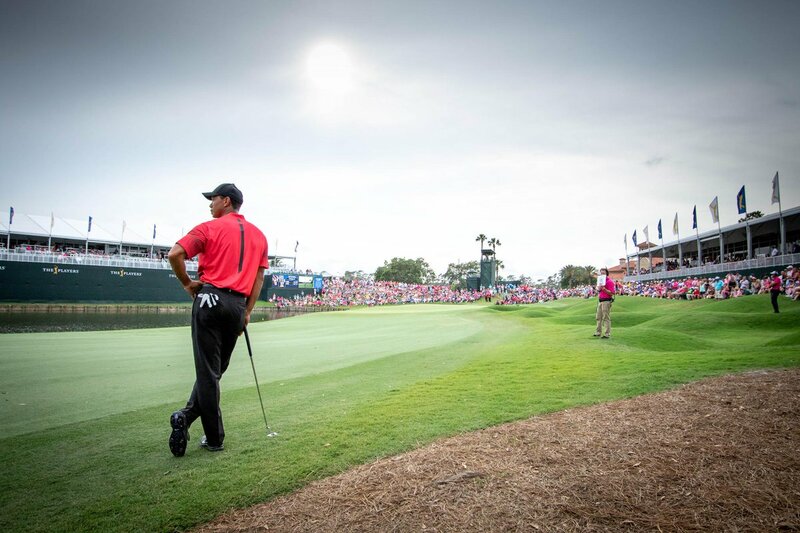 For tee times, pairings, TV schedules and more, visit the link below. 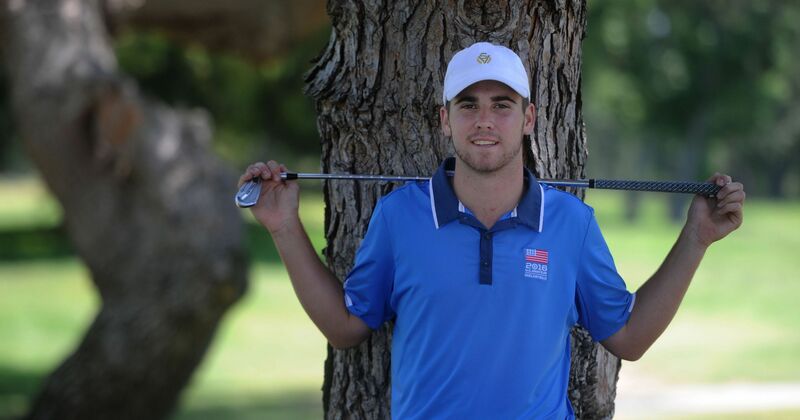 Matt Wolff, a recent graduate of Westlake HS and Agoura Hills native, found himself on the wrong side of a 1up loss Saturday, falling on the 18th hole of the 2017 U.S. Junior Amateur Championship. Wolff was the first Southern California golfer to make the final match sine Jay Hwang of San Diego lost to Jordan Spieth in the 2009 playing. 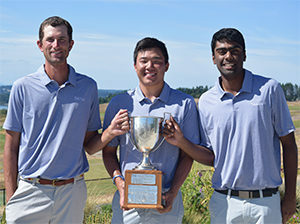 For the second straight year and third time in the last four years, the SCGA team captured the Morse Cup at the Pacific Coast Amateur with the team of Stewart Hagestad, Sahith Theegala and Norman Xiong. 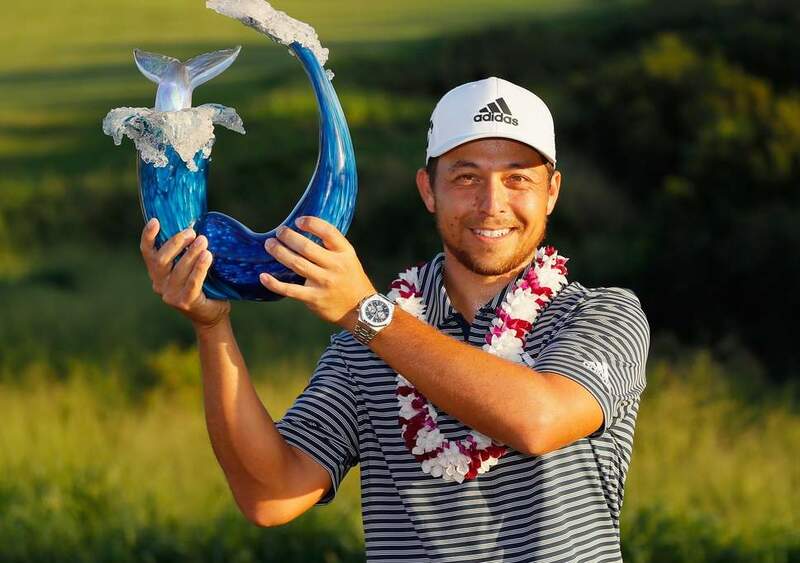 Just four years after finishing as the SCGA Amateur Championship runner-up and three years after his dramatic California Amateur victory, San Diego State graduate Xander Schauffele picked up his first PGA TOUR win at The Greenbrier Classic. The shot that won the tournament for @XSchauffele. Sahith Theegala of Chino Hills, Calif. birdied the first playoff hole to win the 23rd Sahalee Players Championship (SPC), outlasting Min Woo Lee of Australia. 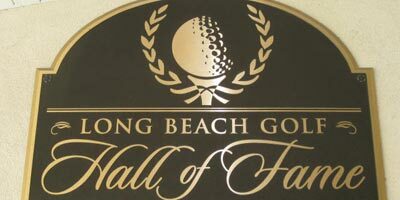 Larry Grant and Mike McMonegal represent the 2017 Long Beach Golf Hall of Fame class, created in 1996 to recognize those individuals who “left their mark on Golf in Long Beach." 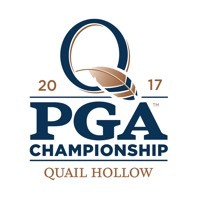 Kenny Pigman of Goose Creek GC and Brian Smock of Coronado GC qualified for the 2017 PGA Championship at Quail Hollow Club in Charlotte, NC which will be held Aug. 7-13. Aaron Wise completed a wire-to-wire victory Sunday in the Air Capital Classic to lock up a PGA Tour card with his first Web.com Tour title. The 20-year-old Wise closed with a 2-under 68 in 100-degree heat at Crestview for a 21-under 259 total and a five-stroke victory over Monday qualifier Beau Hossler. 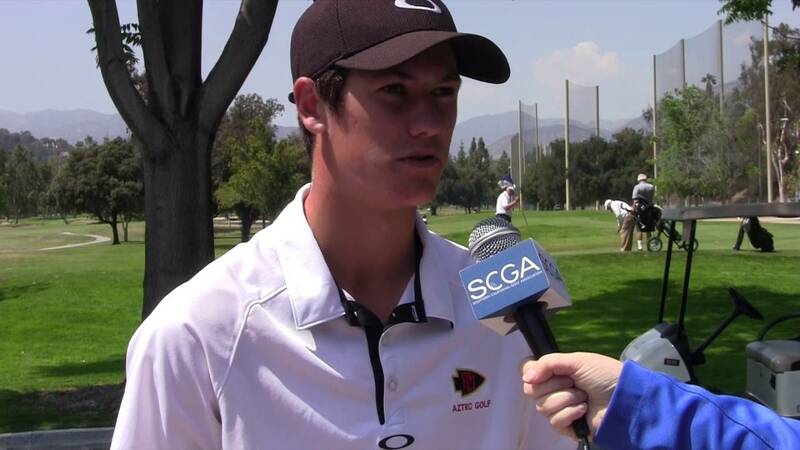 Rico Hoey (USC), the defending SCGA Amateur champion, has been named to First Team All-American by Golfweek, the publication announced today. 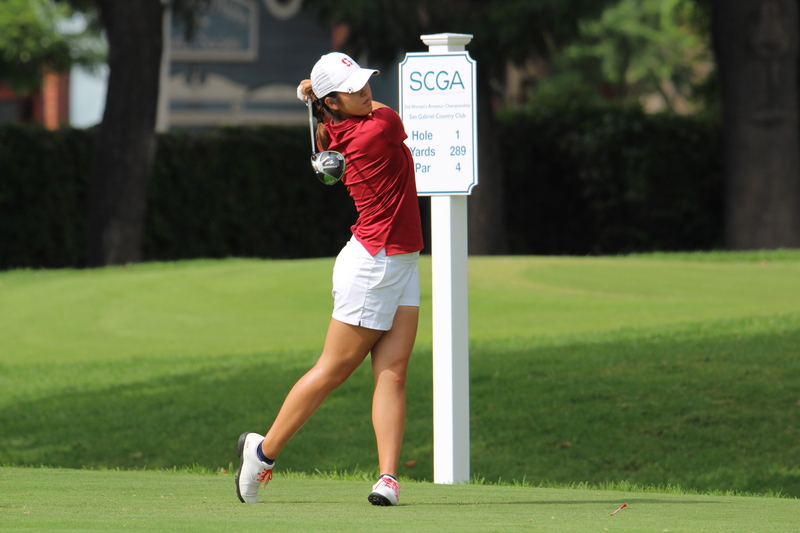 On the women's side, Andrea Lee (Stanford) and Lilia Vu (UCLA, pictured) both represented the SCGA on the First Team.